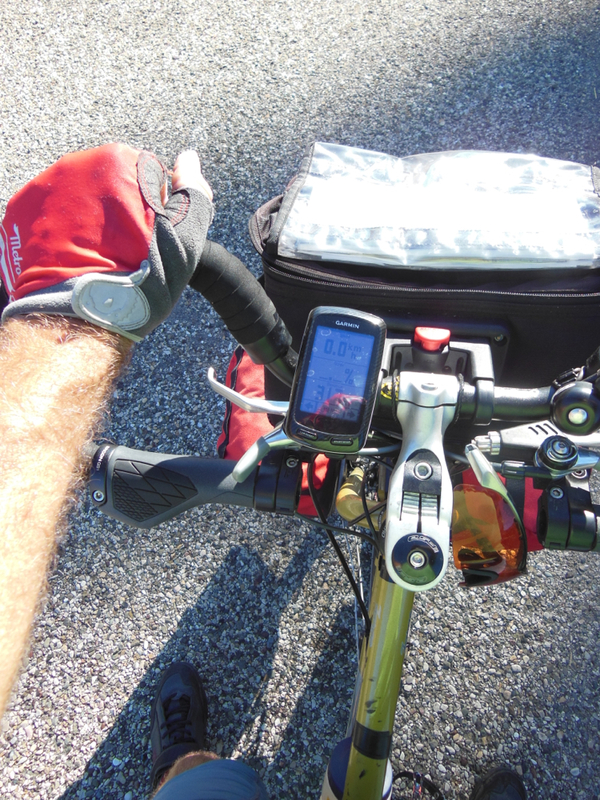 The third cycling touring trip of the year is now over. 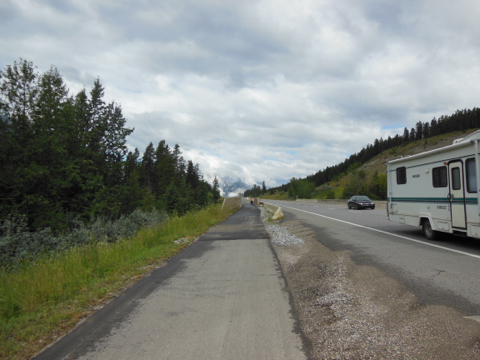 It started on August 28th, 2012 as I left Calgary, AB behind. 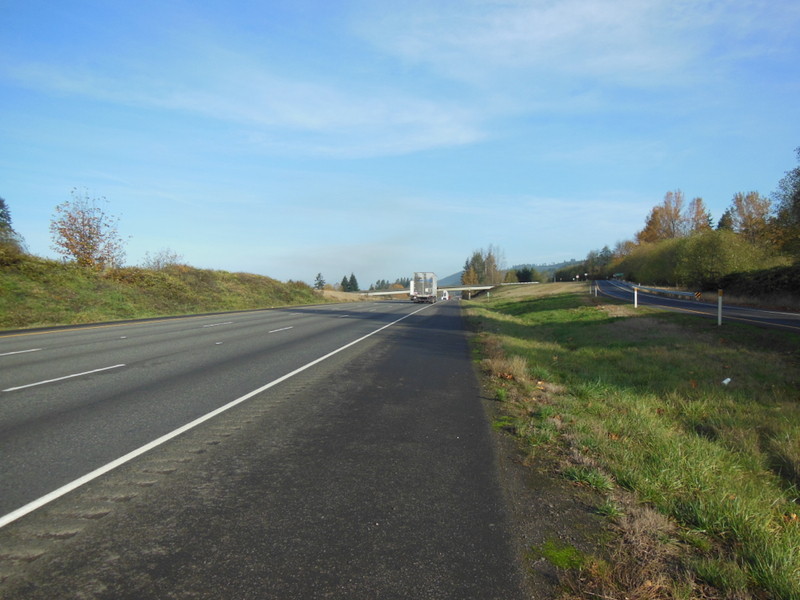 It ended seventy-two days later on November 9th with a train ride from Seattle, WA to Vancouver, B.C. 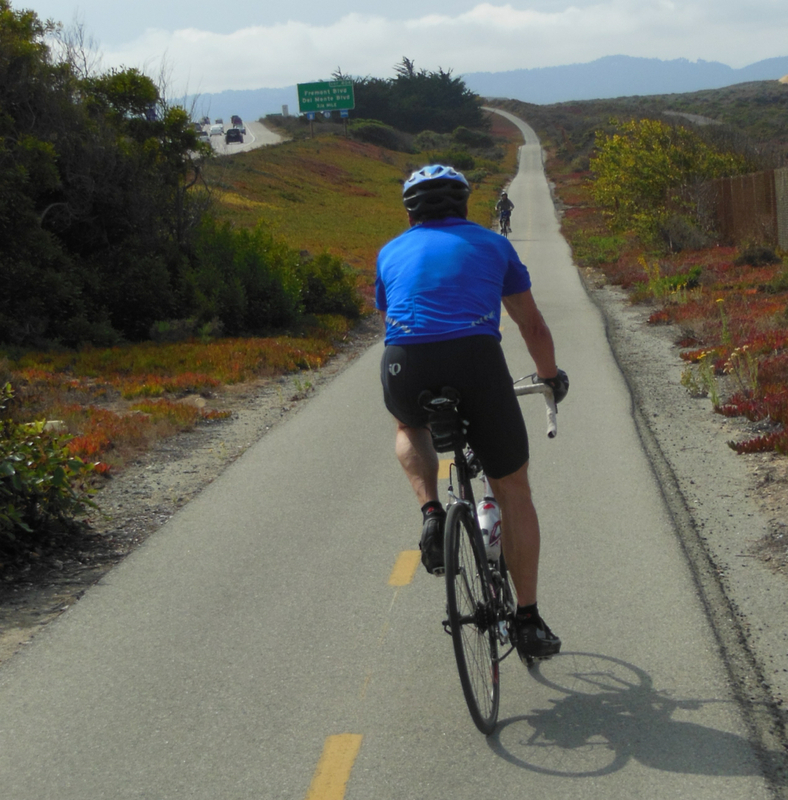 I sort of miss not doing the last segment by bicycle. 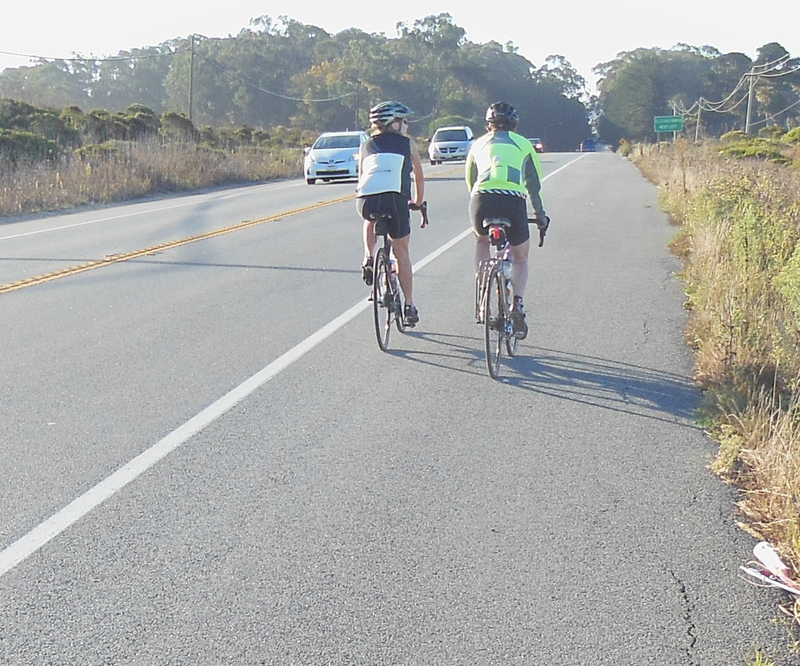 Other priorities cut out those last three days of cycling. 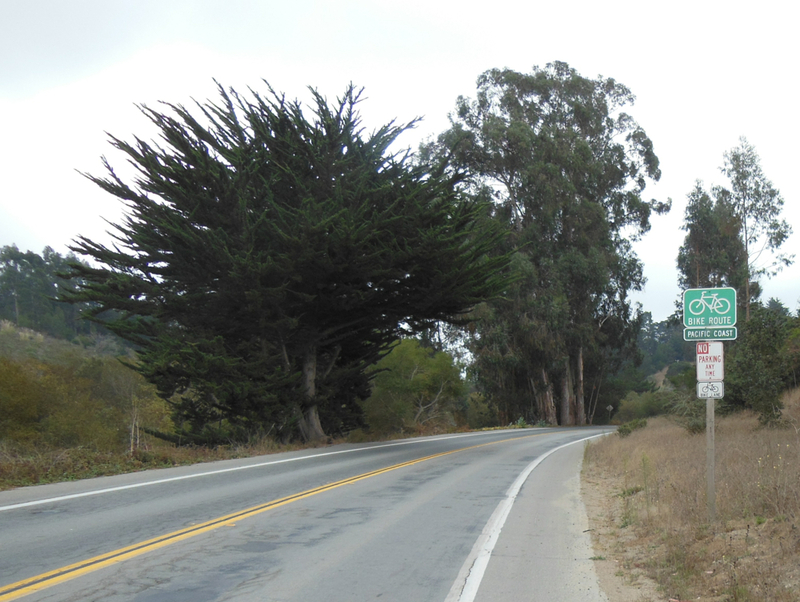 Still, I have done this segment of the trip a number of times using a variety of routes. 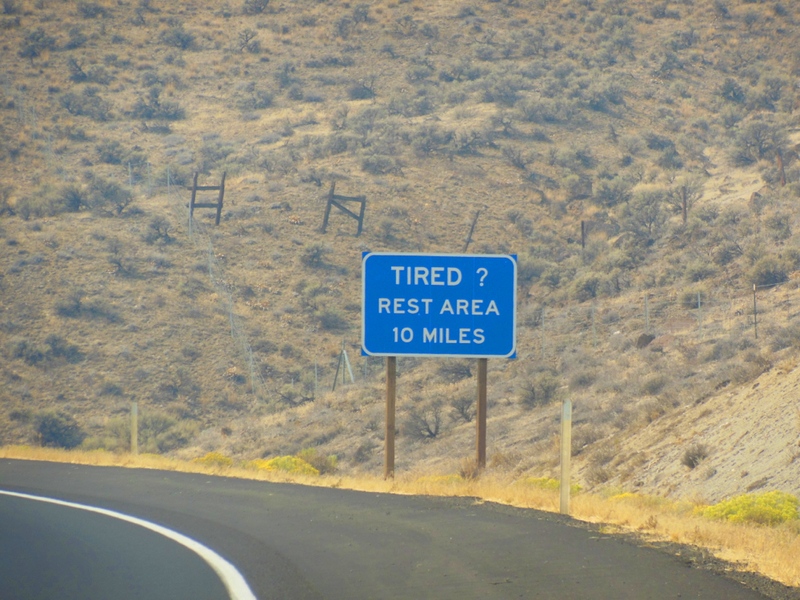 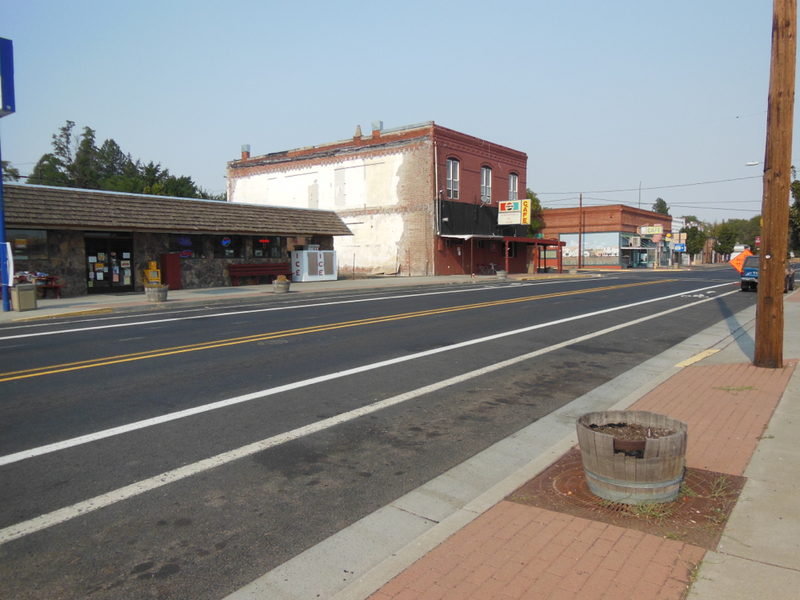 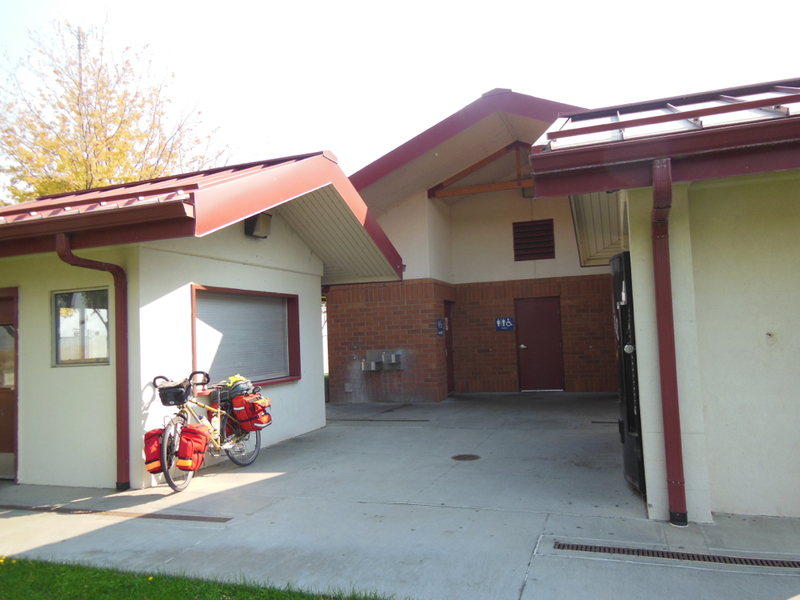 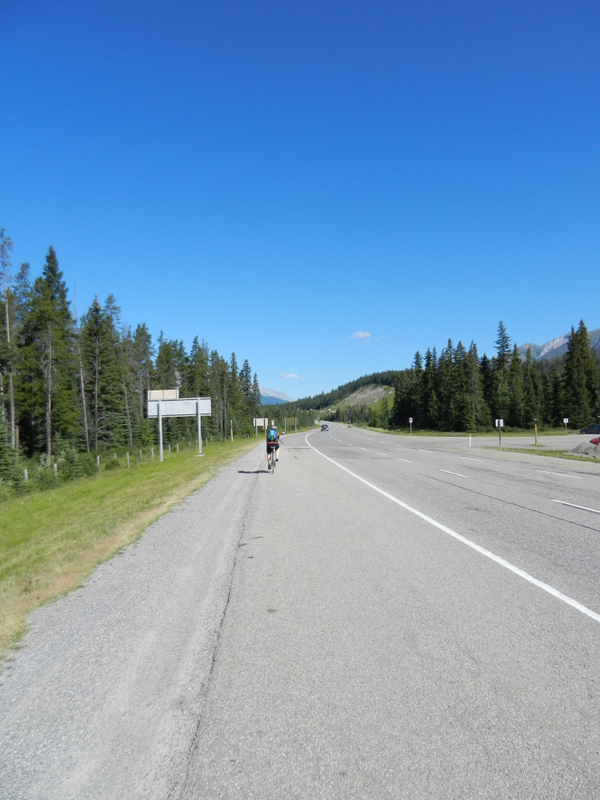 Nevertheless, the cycling touring trip covered 4,100 kilometres and the states of Montana, Idaho, Washington, Oregon, and California with the southern terminus being Santa Barbara. 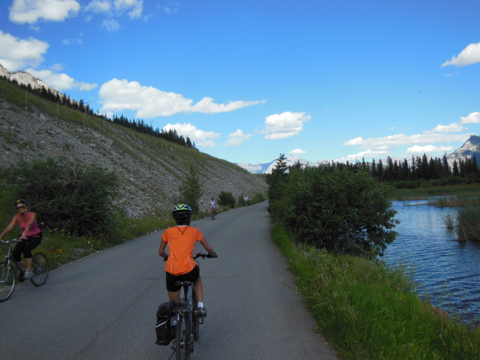 The southerly cycle was by bicycle with the northern portion being a combined mobility trip of trains and cycling. 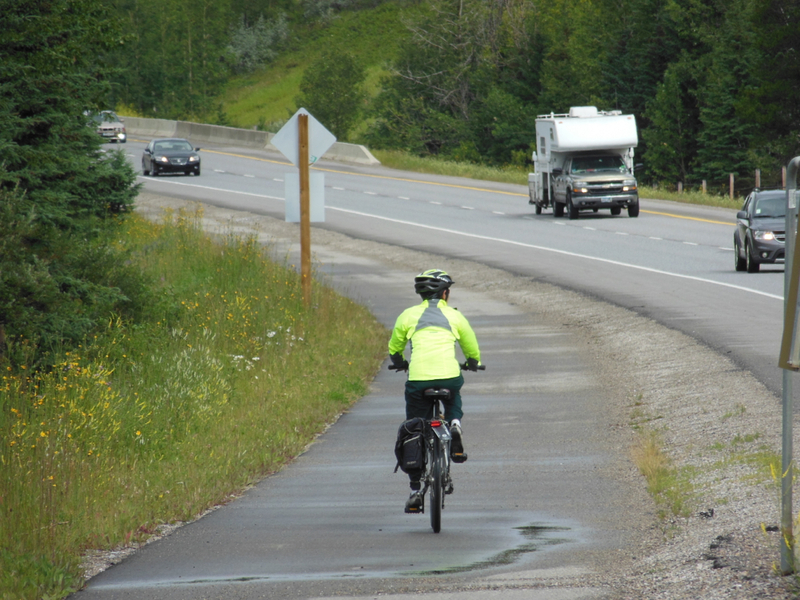 Time was a limiting factor on the northernmost section as the wonderful fall weather that I had been enjoying from the start of the trip now threatened to turn to winterly conditions, including the oncoming of fog in the morning hours as the length of daylight decreased quickly. 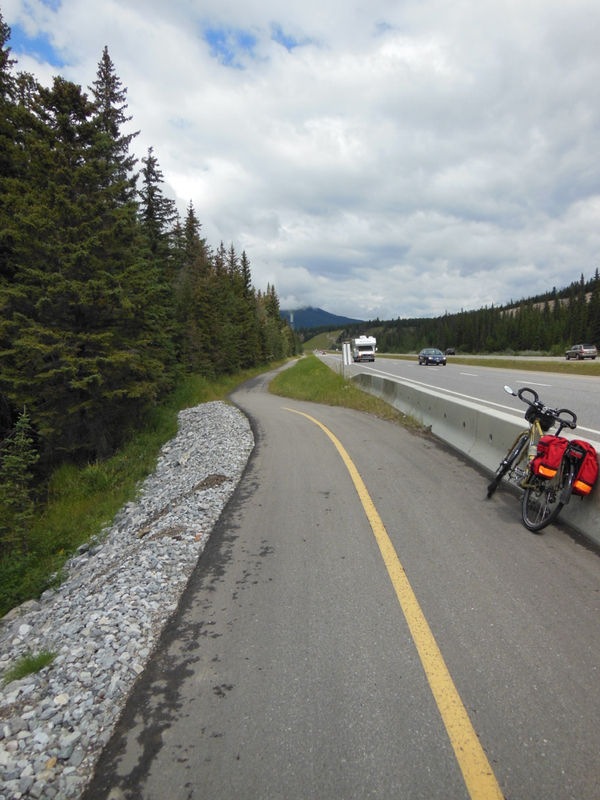 The next few blog articles will reflect on some observations from the trip on network and infrastructure design toolkits that affect cycling touring. 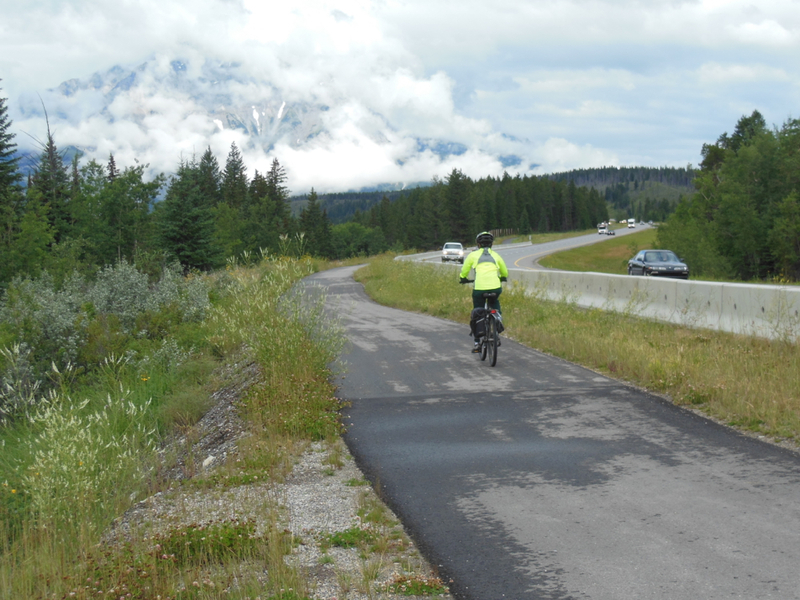 The trip showed the effectiveness of federal programs that mandate that a specified portion of grants for any road construction or rebuilt be spent on cycling facilities. 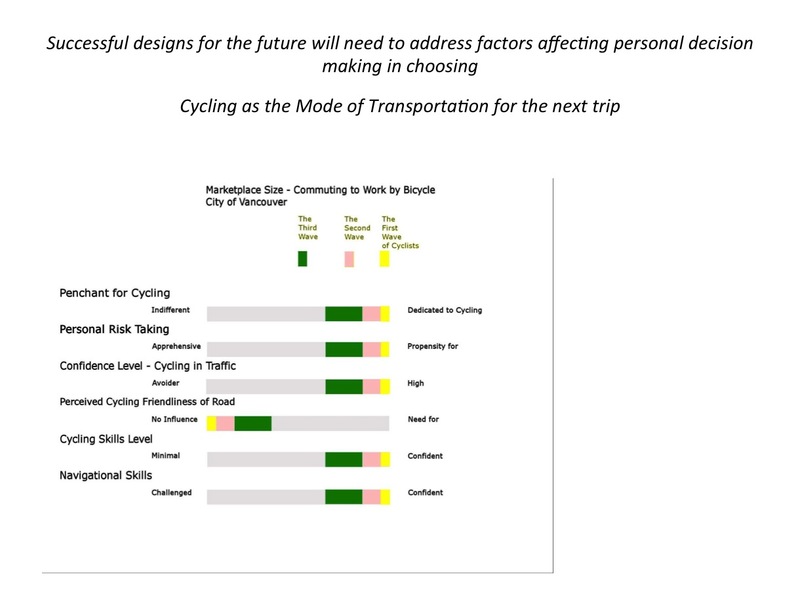 While the cycling facility design toolkit being used on these builds may not appeal to non-cyclists, the end product will appeal to more confident and more risk-taking people who now cycle to use arterial roads with bike lanes. 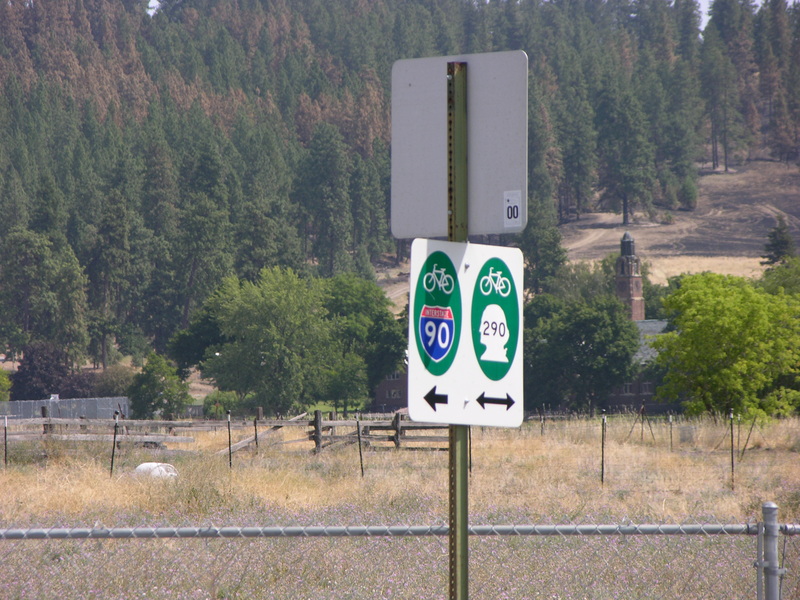 Reflections on cycling in the States, I started to expect that every hamlet, village, town, or city, no matter the population, would have bike lanes guiding me through it. 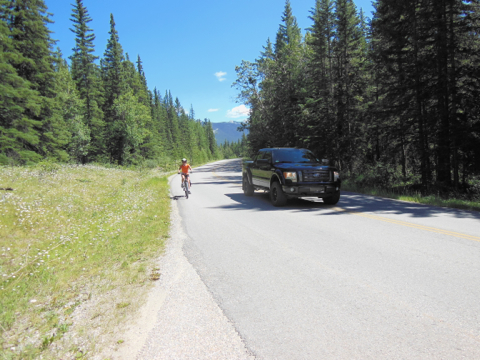 In rural roads, I expected either to see marked bike lanes or paved shoulders allowing for confortable cycling. 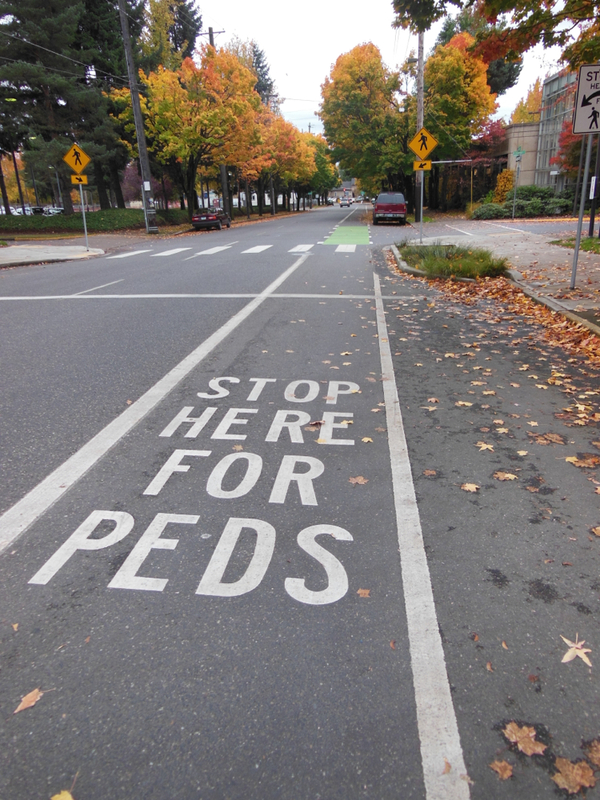 Definitely, the federal transportation program had a very positive effect on cycling facilities. 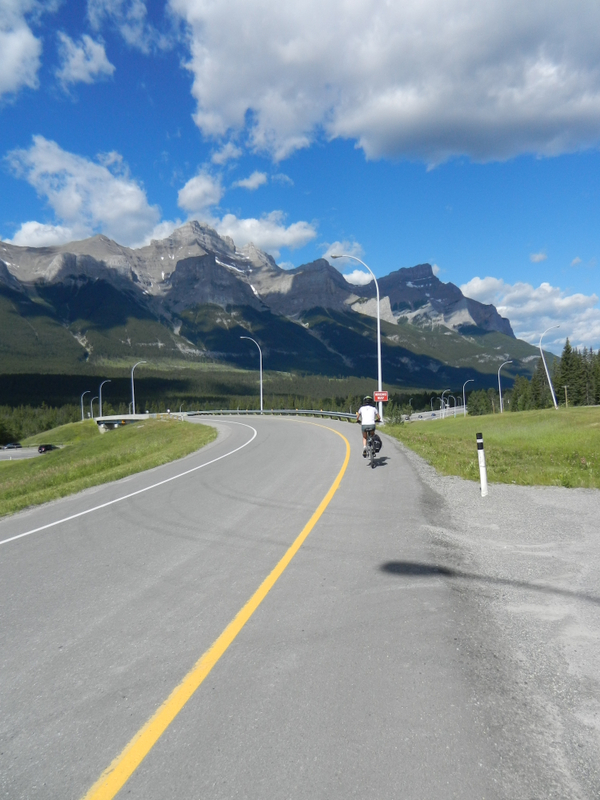 It is amazing to think back and reflect on the limited distances that I cycled where there was not a bike lane or cycleable paved shoulders. 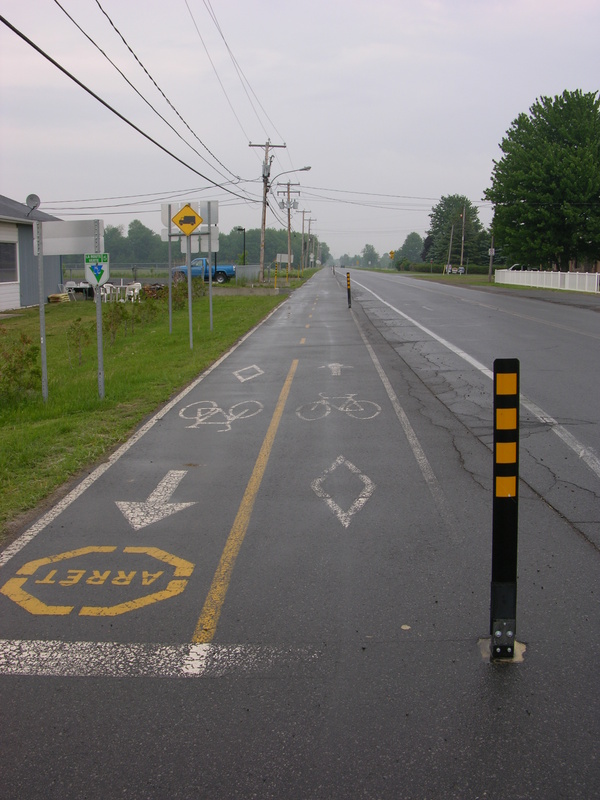 Bike lane on the main road. 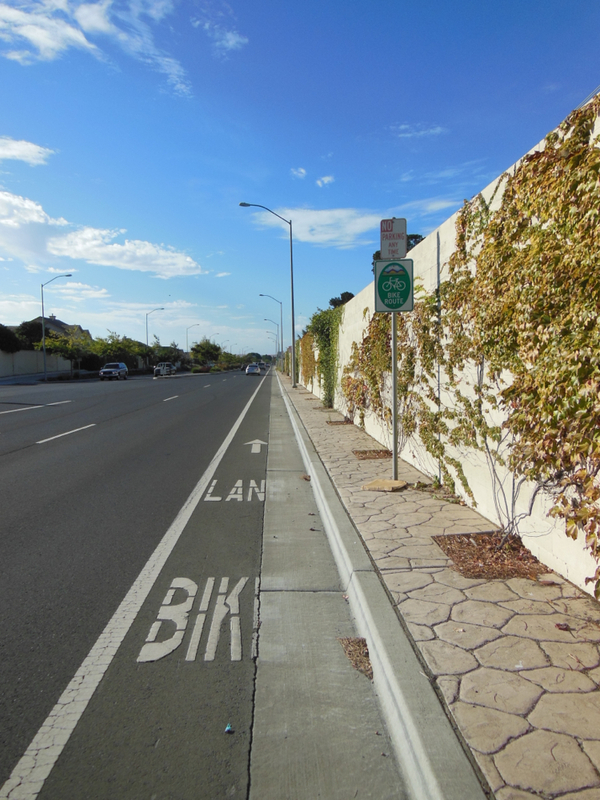 Fairfax CA, Bike Lane, Width measured from face of curb, Asphalt and Concrete surfaces, Separation starting at materials interface. 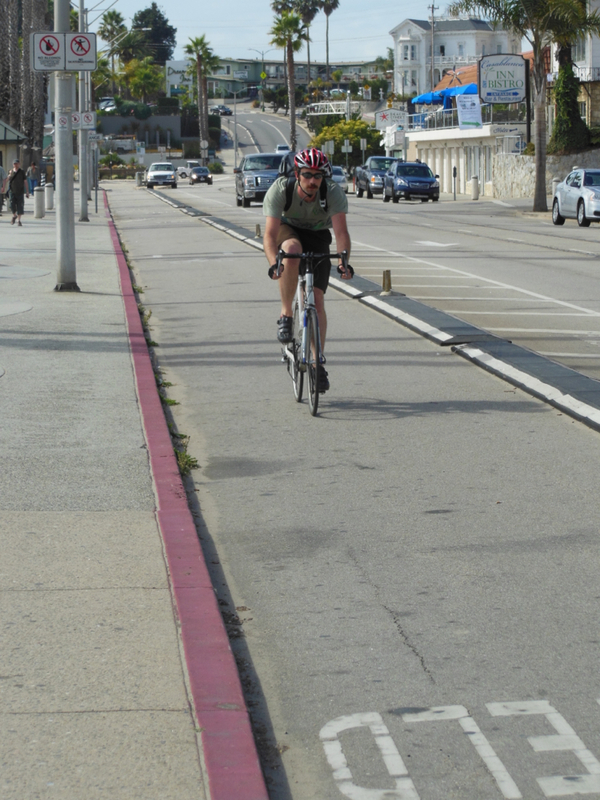 Being able to cycle on bike lanes was great. 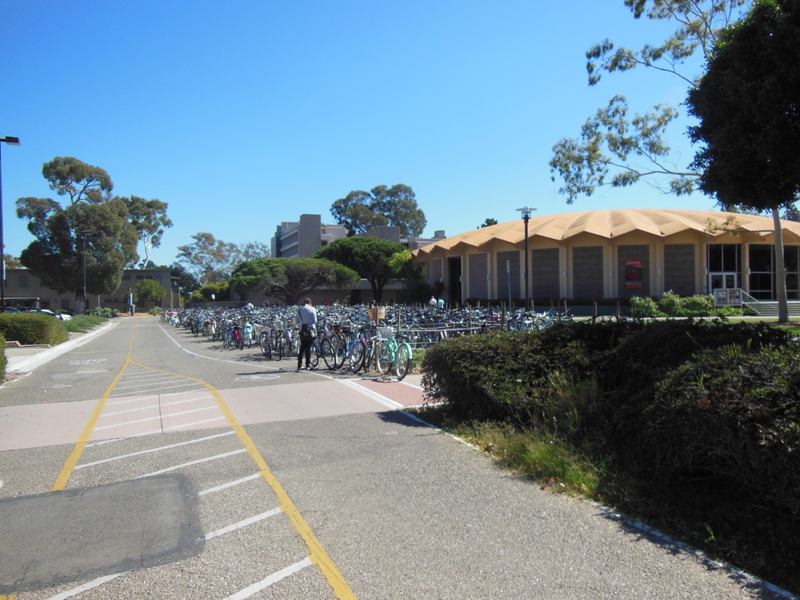 The widths of the cycling facilities ranged from meagre to very comfortable. 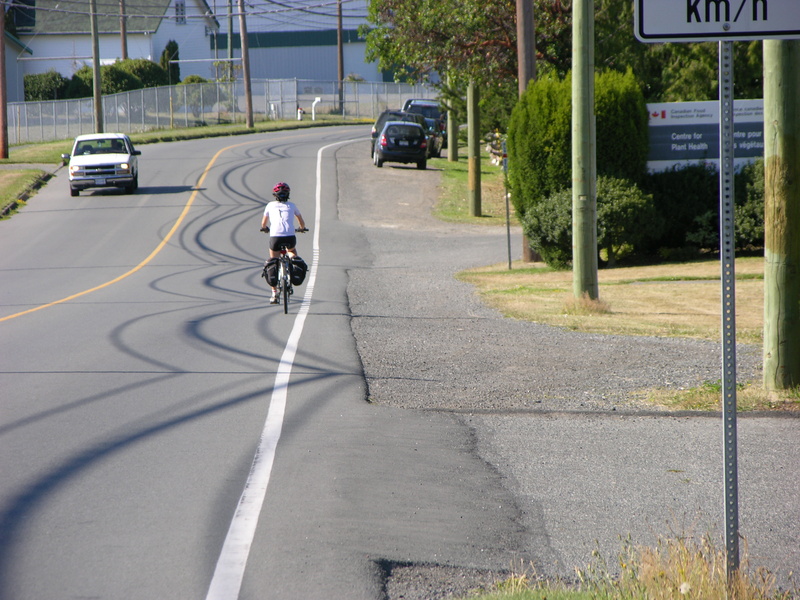 Sometimes, the 1.5 metres bike lane widths were measured from curb faces making them uncomfortable. 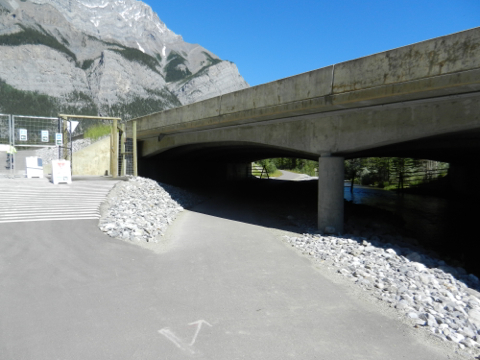 Frequently, the concrete extensions were great storage places for dirt, branches, garbage, and other obstacles, making this space useless for cycling. 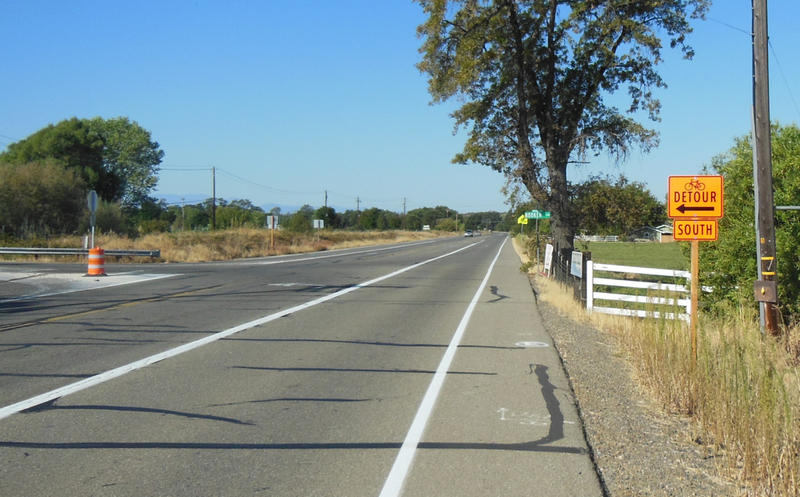 Frequently, the road asphalt did not extend to the curb face. 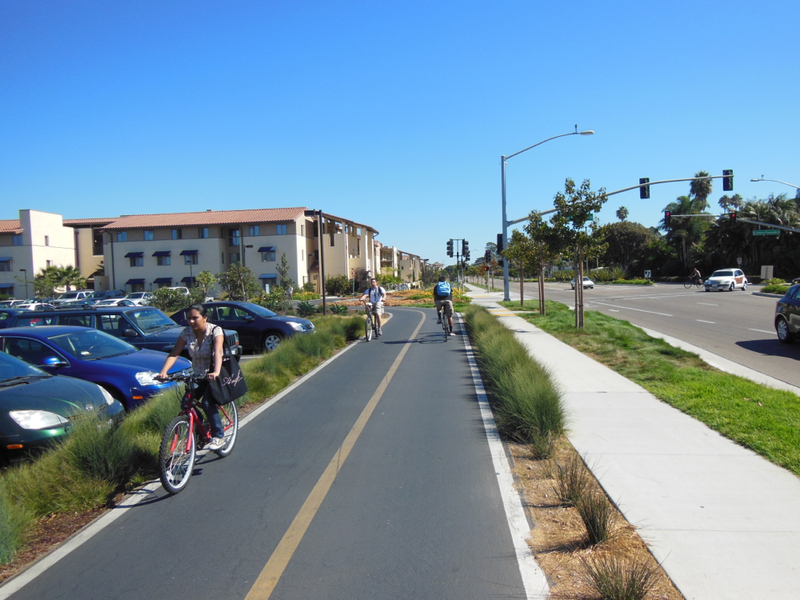 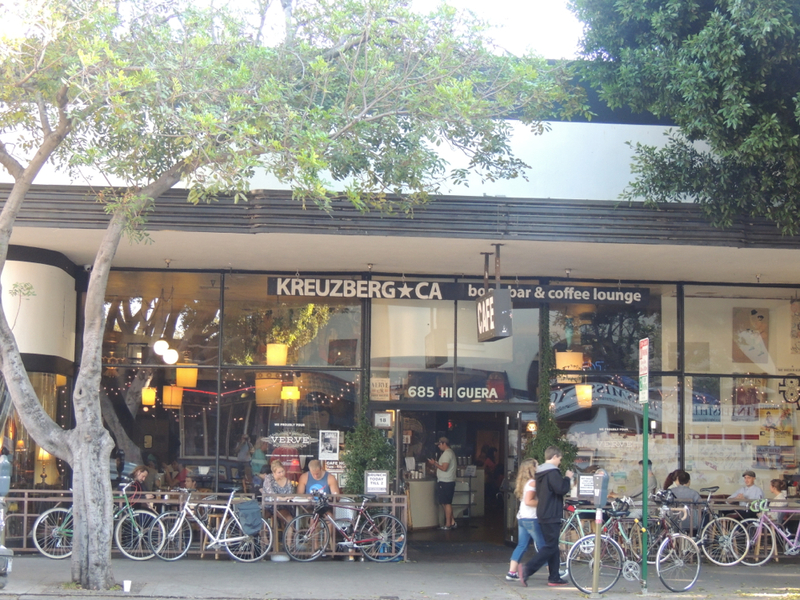 Unfortunately, having both asphalt and concrete surfaces in bike lanes also brought poor cycling conditions with safety issues as the meeting of these two materials may be unsmooth, may have difficult raised humps, or separate and ready to eat up a wheel. 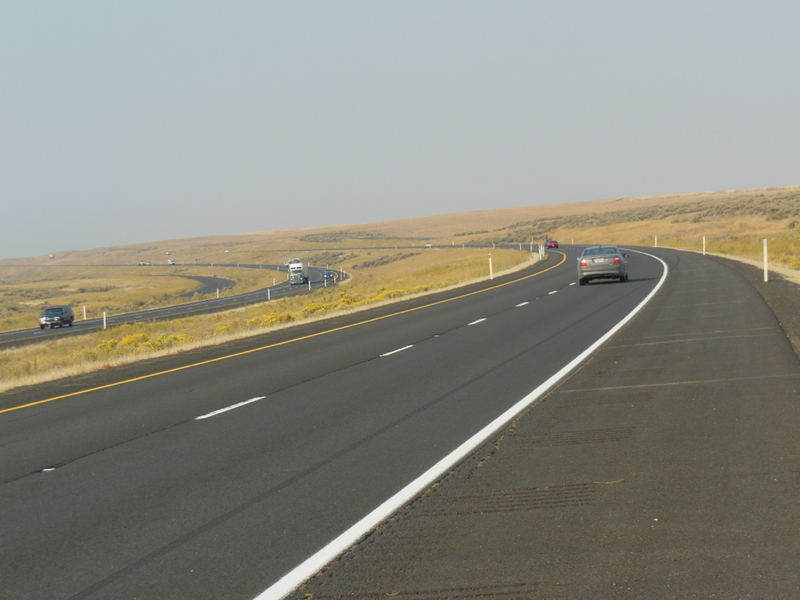 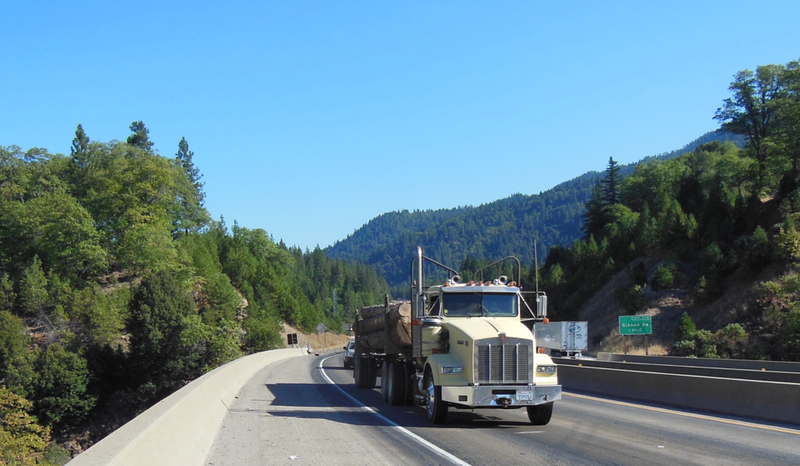 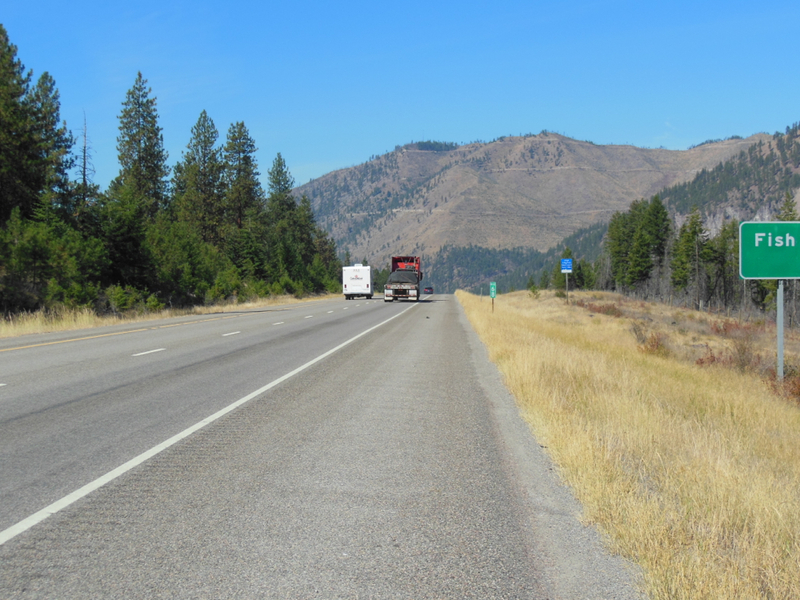 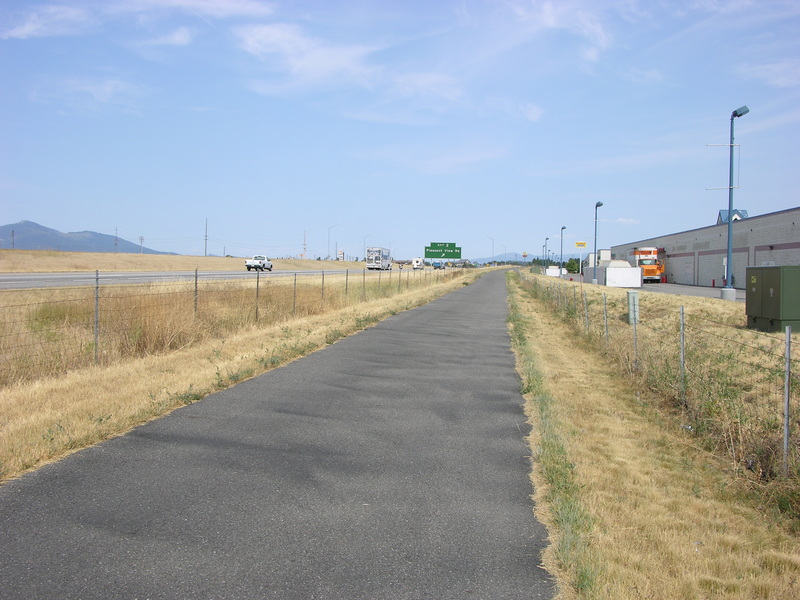 Interstate Highway I-90, Washington State, Wide paved shoulder for comfortable cycling, Rumble strip separation from motorized traffic. 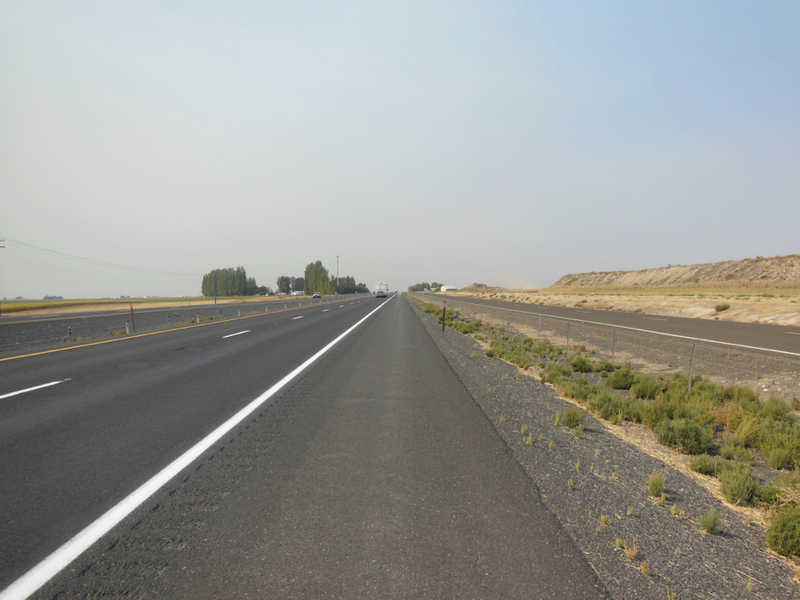 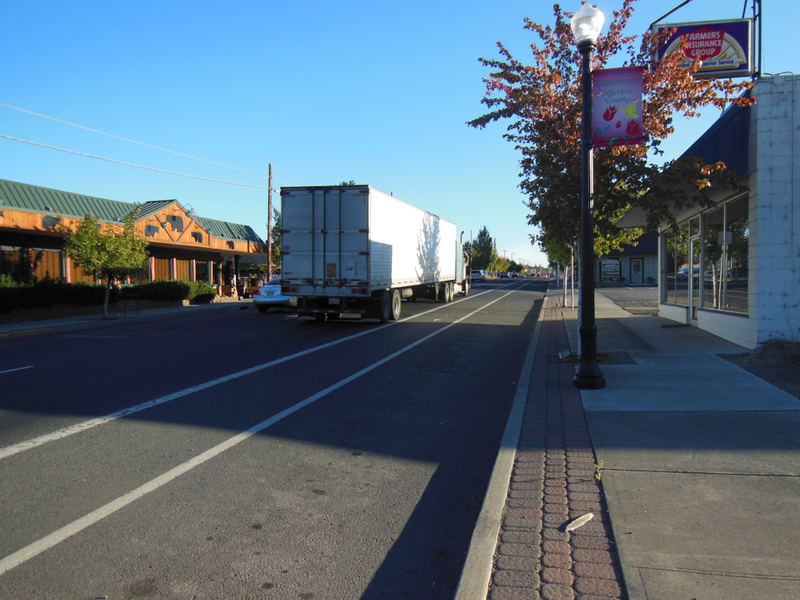 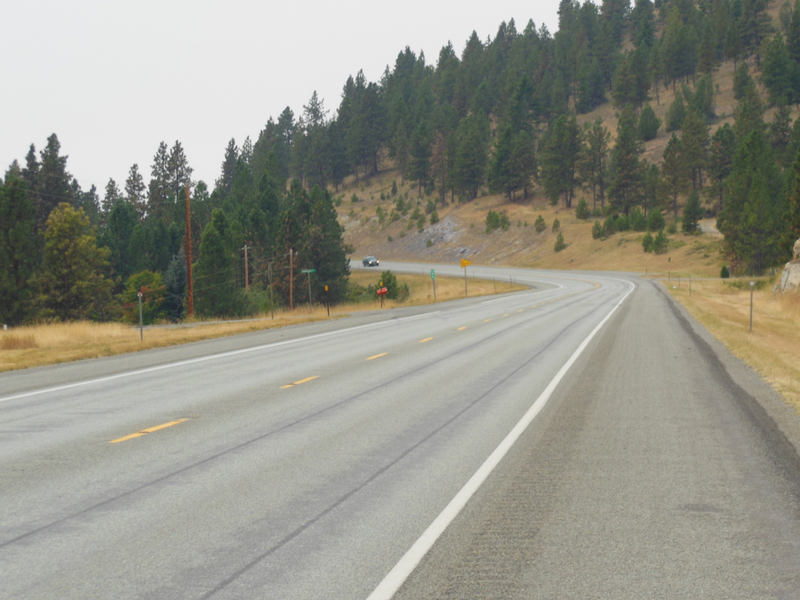 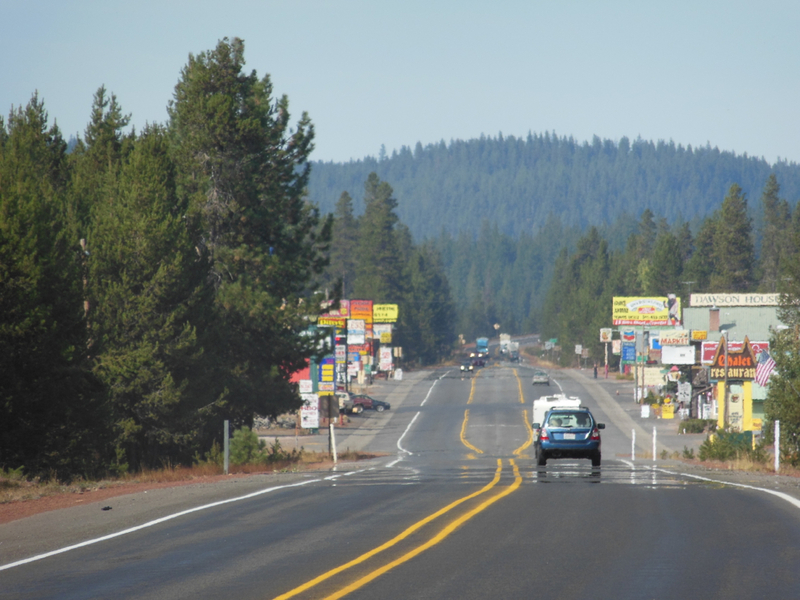 Washington State Highway, With wide paved shoulder and rumble strip separation from motorized traffic, Comfortable cycling. 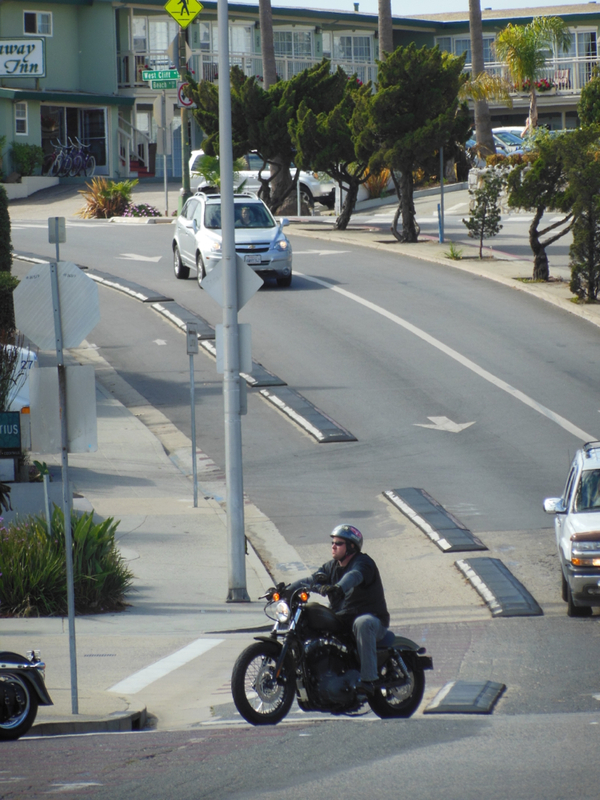 Generally, the bike lanes were designed to the second wave level with frequent, undesirable conditions at intersections where bike lanes would disappear when newer cyclists needed them the most. 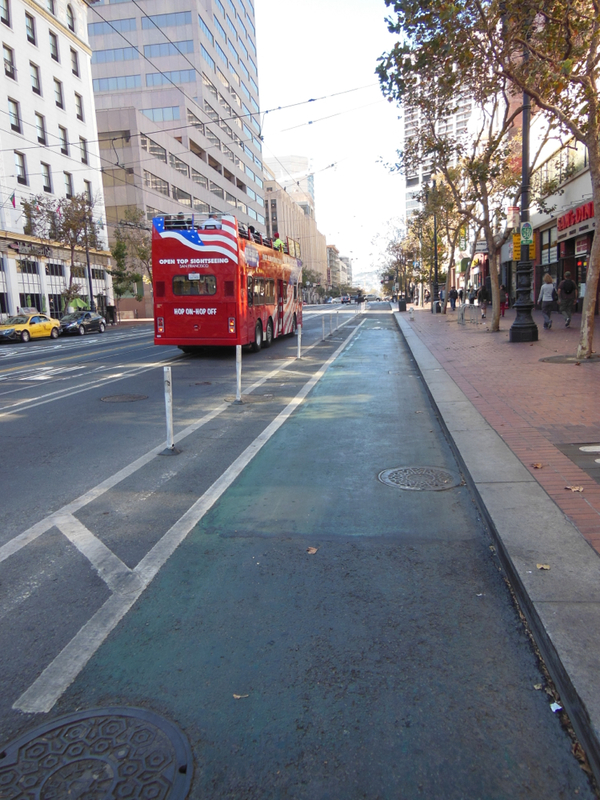 So, for determinant, skilled, or risk-taking cyclists with limited fear, these second wave design bike lanes provided separation from cars and an acceptable cycling environment. 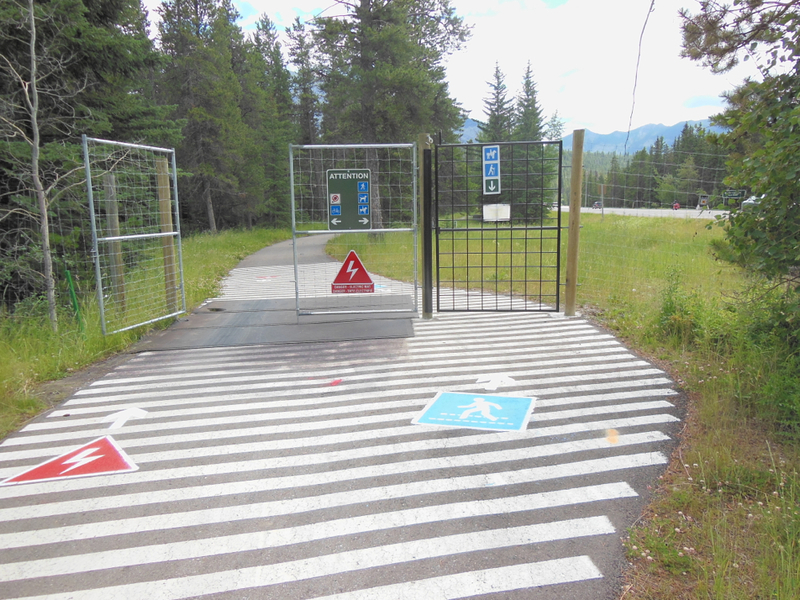 Certainly, these facilities would not draw out motorists from their cars to cycle instead. 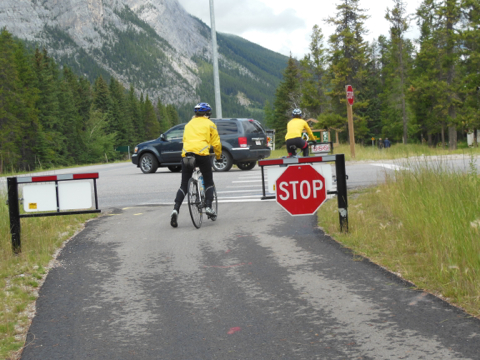 This was evident by the number of people cycling. 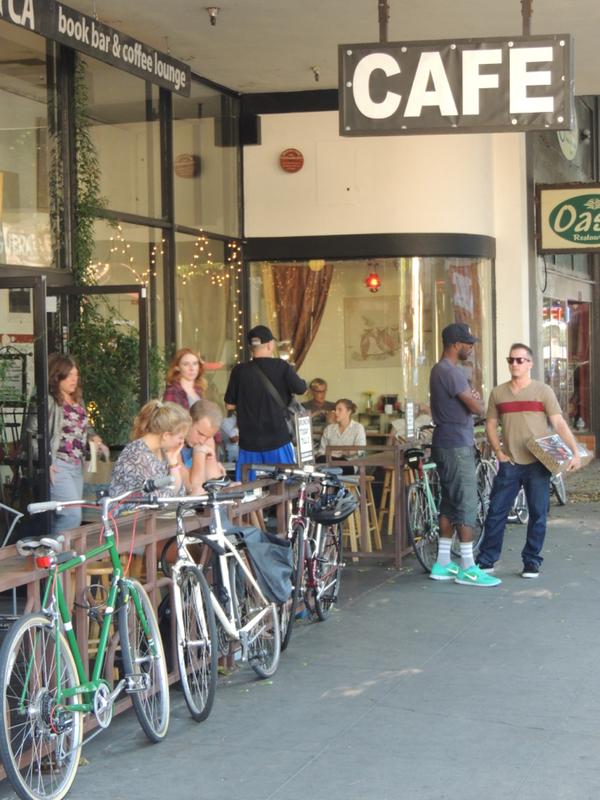 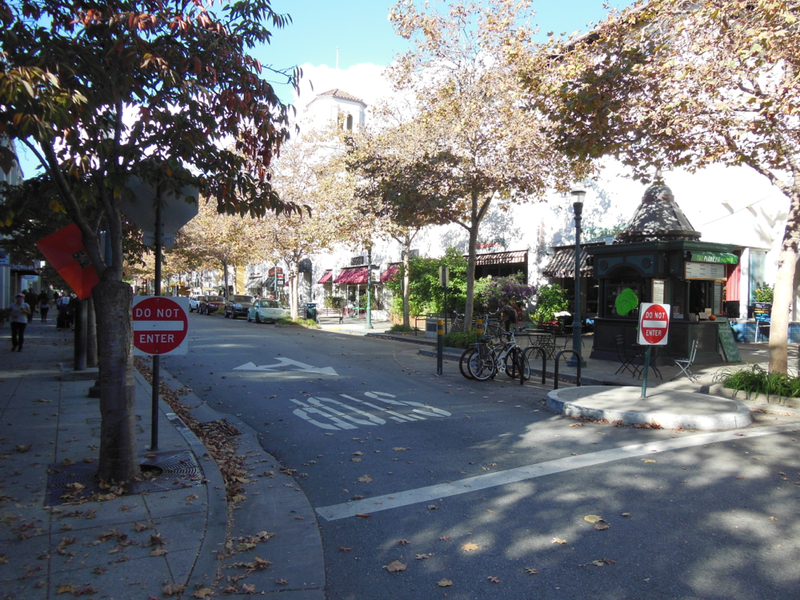 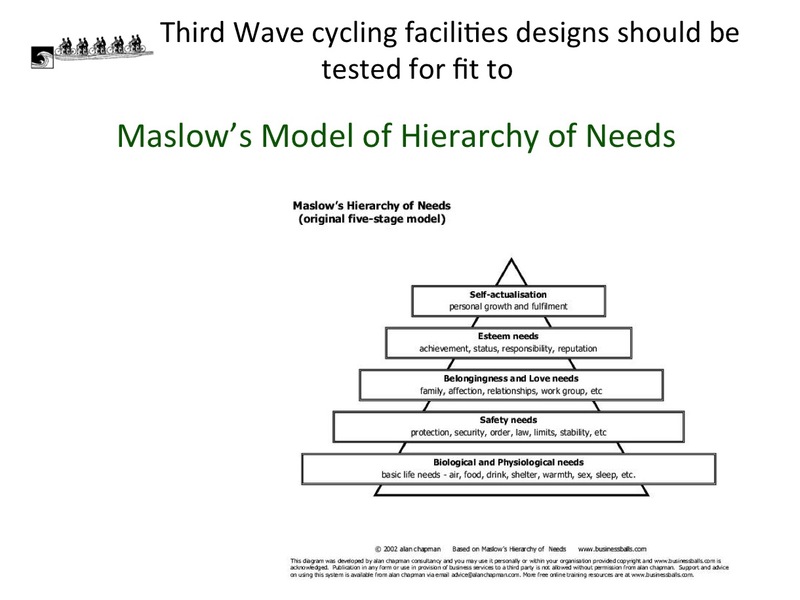 Third wave cycling designs are needed to increase cycling traffic beyond the current cyclists. 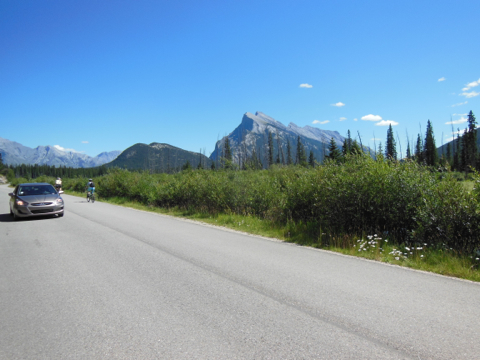 On this early August day, another cycling touring trip into the Canmore and Banff areas is now complete as we return to Calgary. 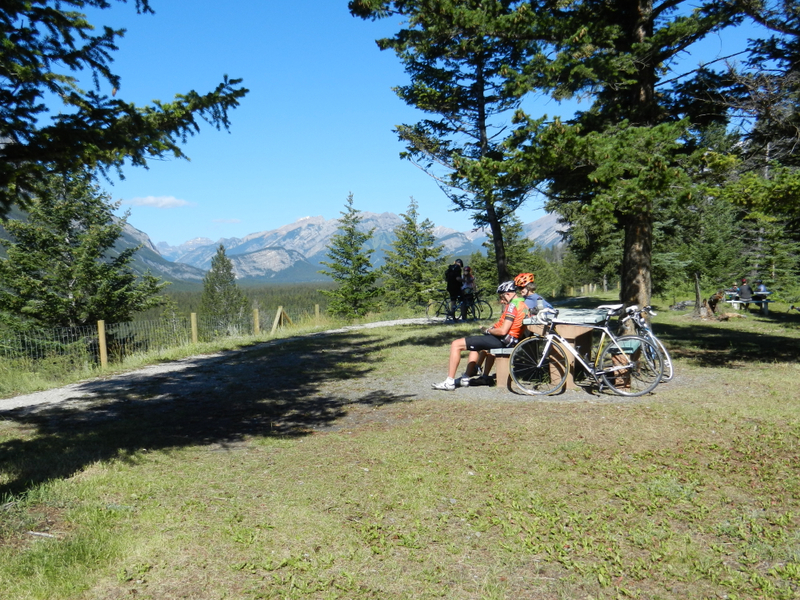 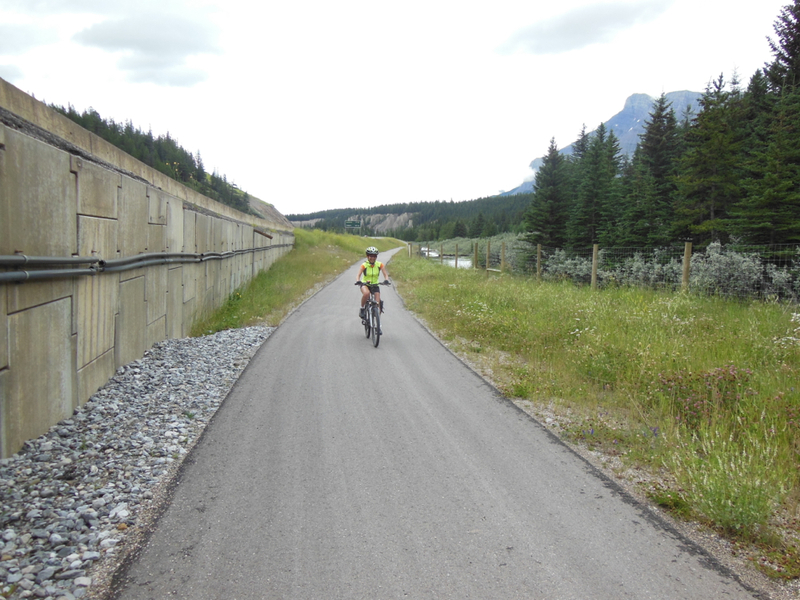 As a cyclotourist, I find the 22 km Banff Legacy Trail as one of the finest cycling trails that I have been on. 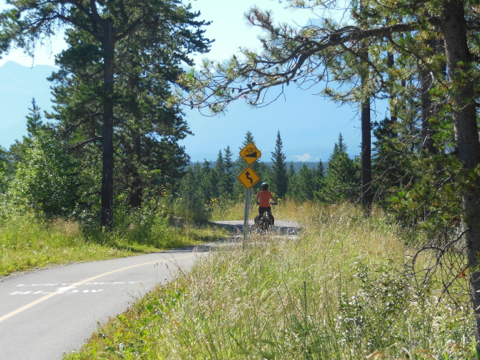 I would place it as number one ahead of the 110 kilometres Cour d’Alene Trail in Idaho, USA and the 200 kilometres Le P’tite Train du Nord Trail in the Province of Quebec. 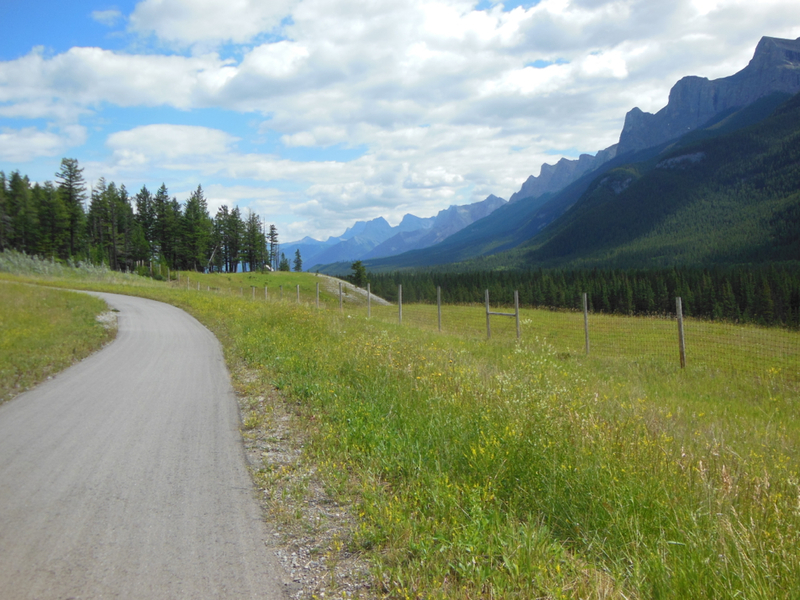 This later trail is part of the excellent 4.300 kilometer long La Route Verté cycling touring network, of which I have had the pleasure of cycling 3,000 kilometres. 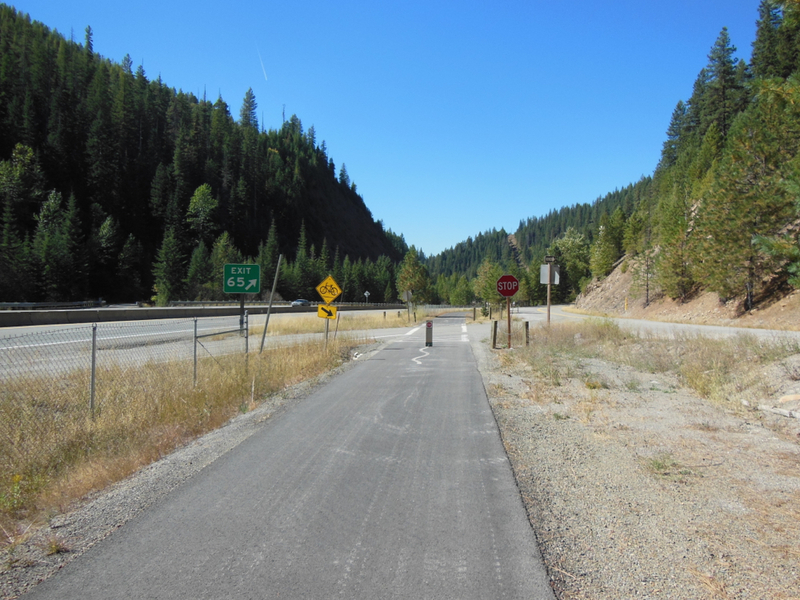 The Cour d’Alene Trail was a subject of a previous post. 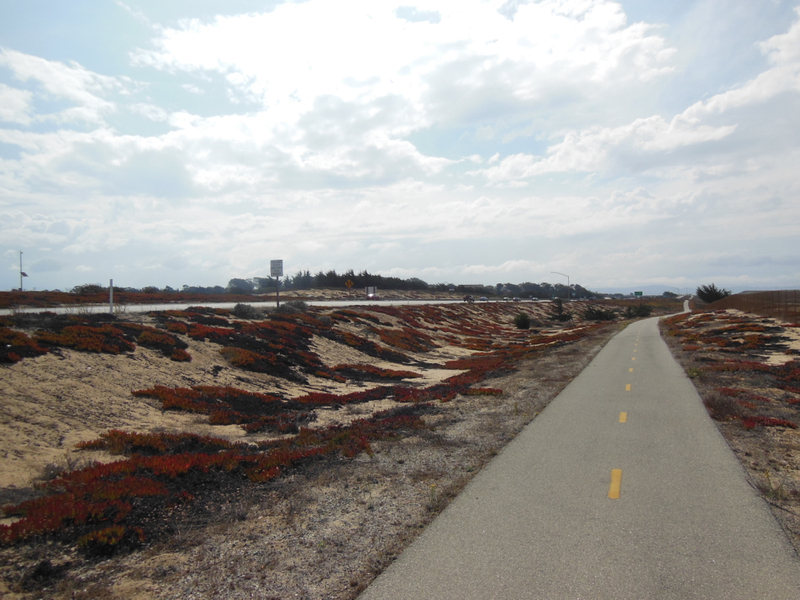 It is expected that an update post will result from cycling this trail again in September. 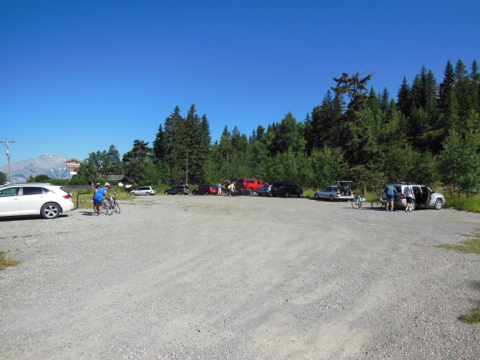 The Le P’tite Train du Nord Trail was also the subject of a previous post. 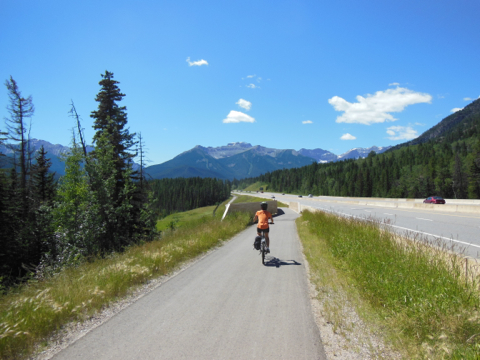 The later two trails are on abandoned railway lines remote from civilization and roads. 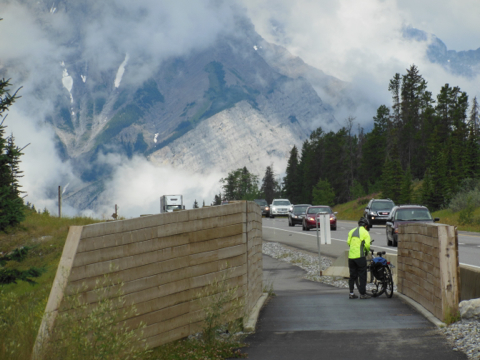 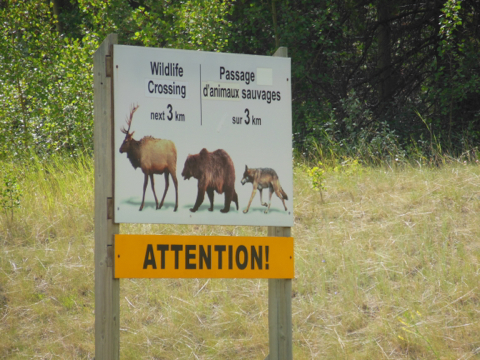 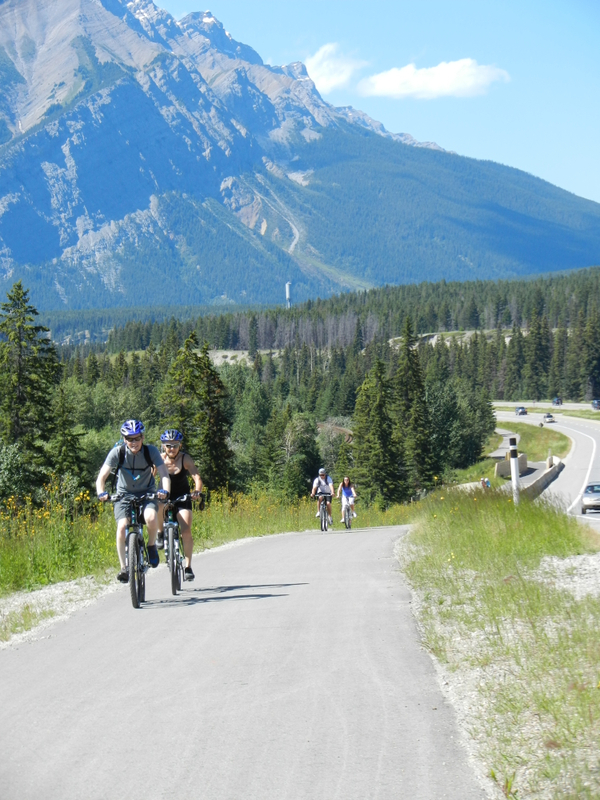 The Banff Legacy Trail is adjacent to the Trans-Canada Highway from the Banff Park East Gate into the Town of Banff. 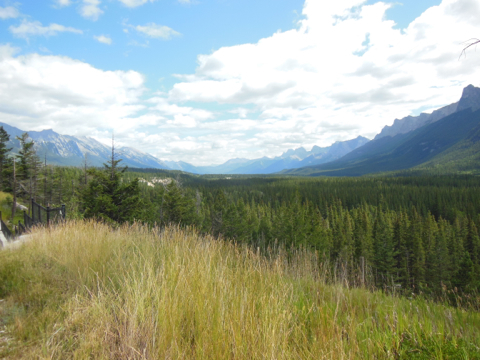 mountain range on the west side. 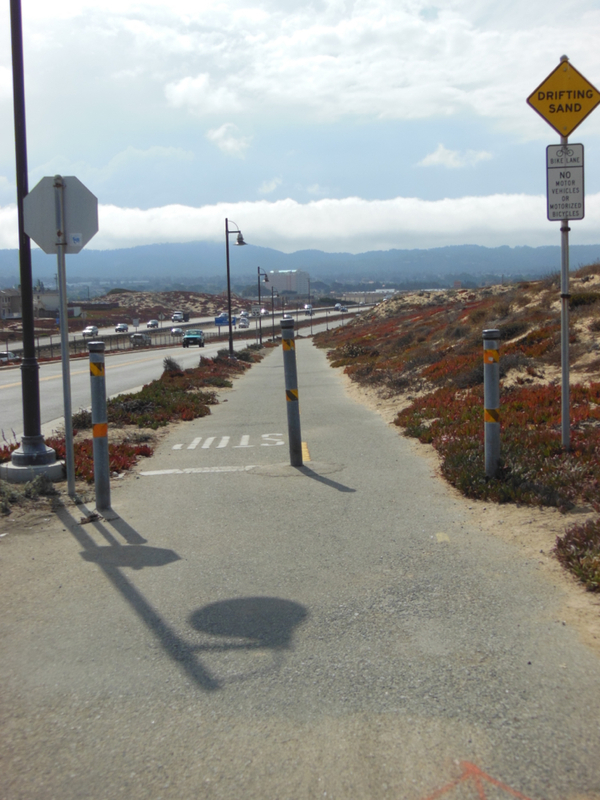 Why do I think that the shortest of these three trails takes the number one spot for me? 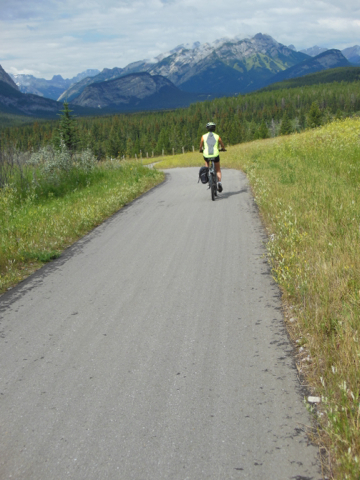 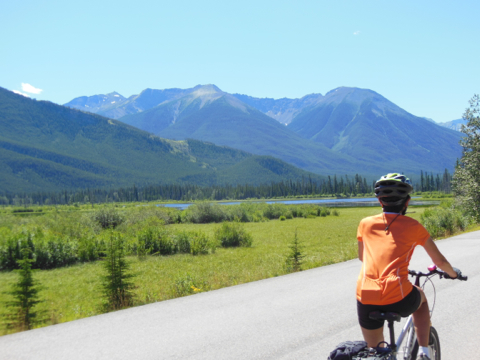 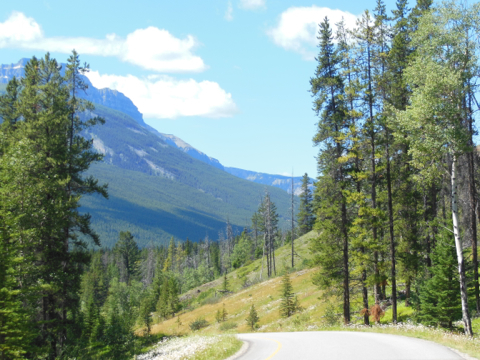 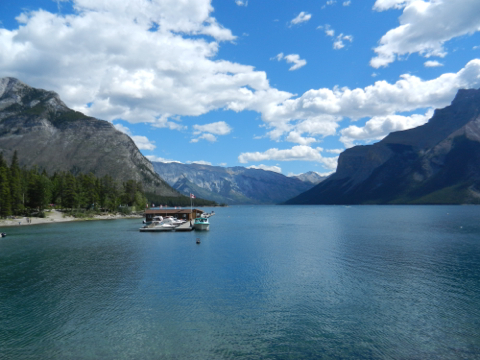 Simply, cycling in a narrow valley where only the Bow River and a transportation corridor runs amid and overshadowed by two, continuous Rocky Mountain ranges with peaks extending 2,500 meter and higher makes this trail special. 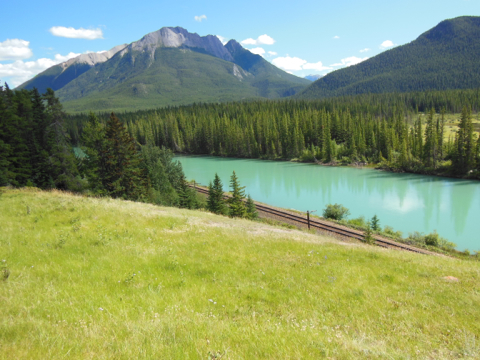 There in this valley, the highway, the trail, and a trans-continental rail track share the narrow space with the Bow River and then the Cascadia River. 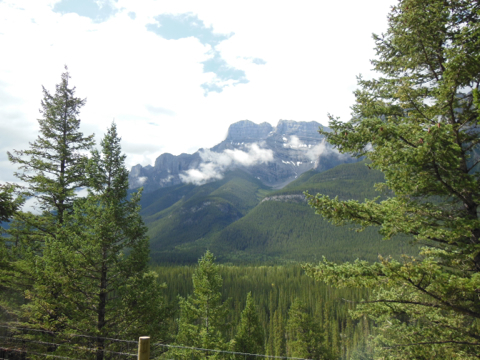 The continuous peaks of the Rocky Mountains always just beside you and almost within arms reach so it feels, the forests, and the electrified animal gates remind you that you are in the wilderness. 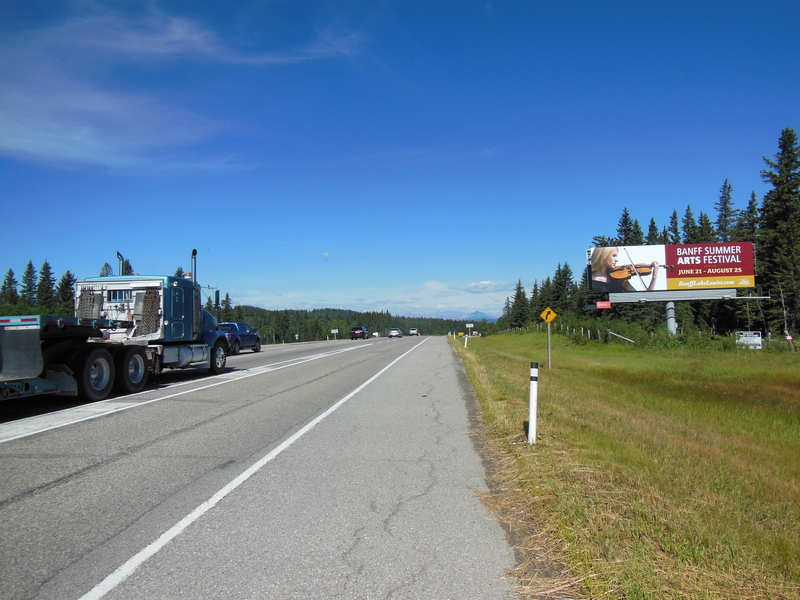 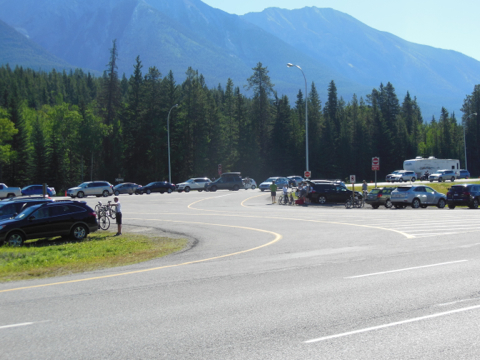 Banff Park East Gate – Eastbound Trans-Canada off-ramp; contra-flow cycling. 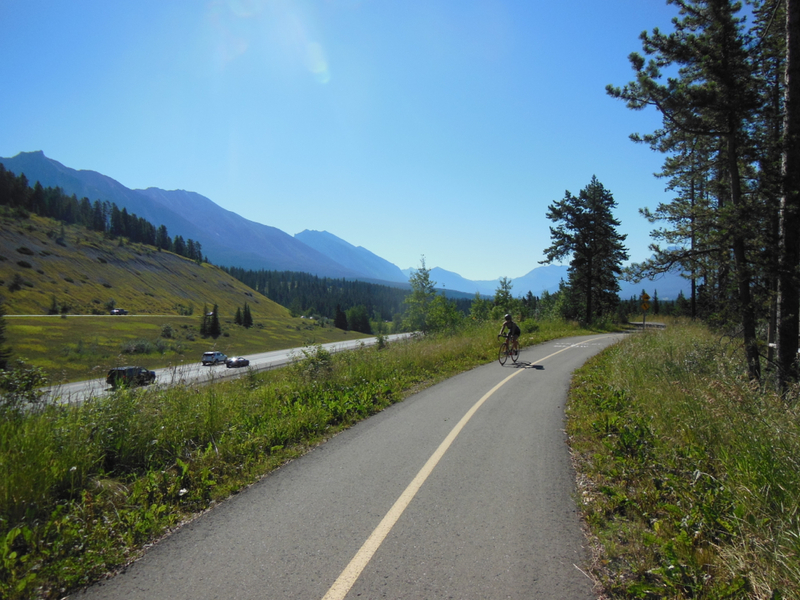 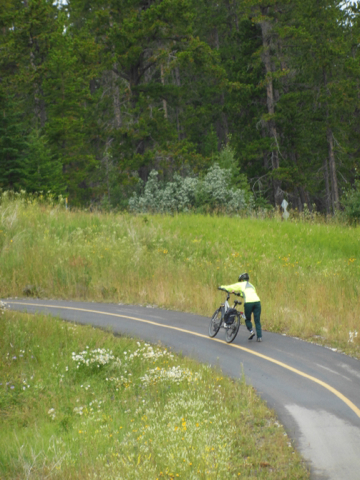 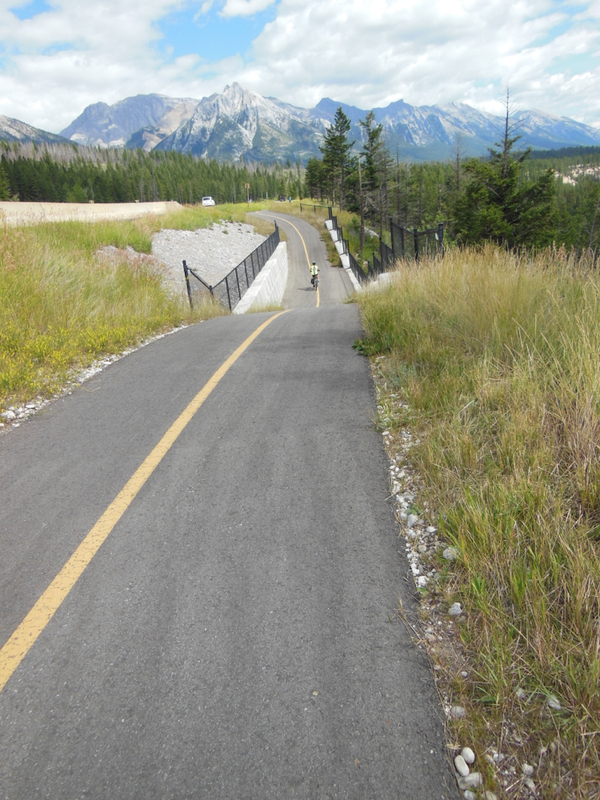 In the east, a paved bike path in the Town of Canmore that parallels the Trans-Canada Highway and the Harvey Heights Road leads to the Legacy Trail. 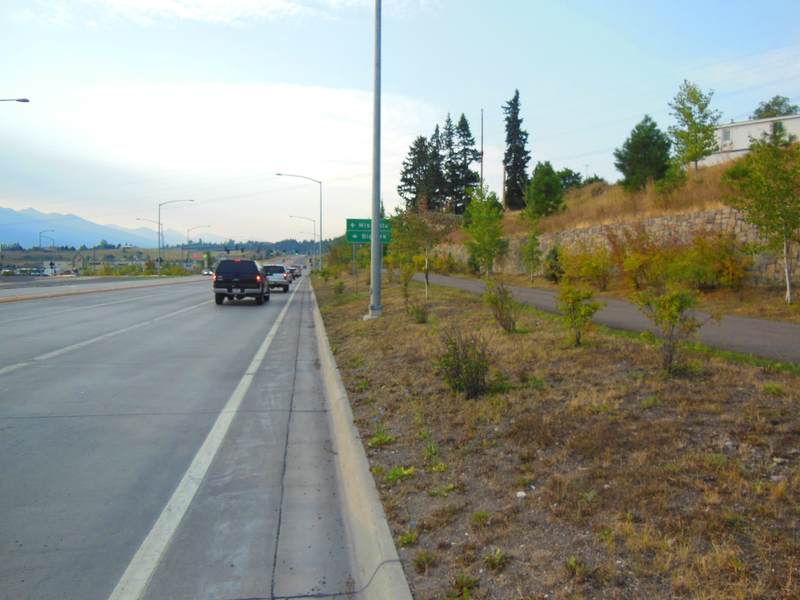 The east off-ramp from the controlled-access Highway #1 to Harvey Heights Road is the connection to the Trail. 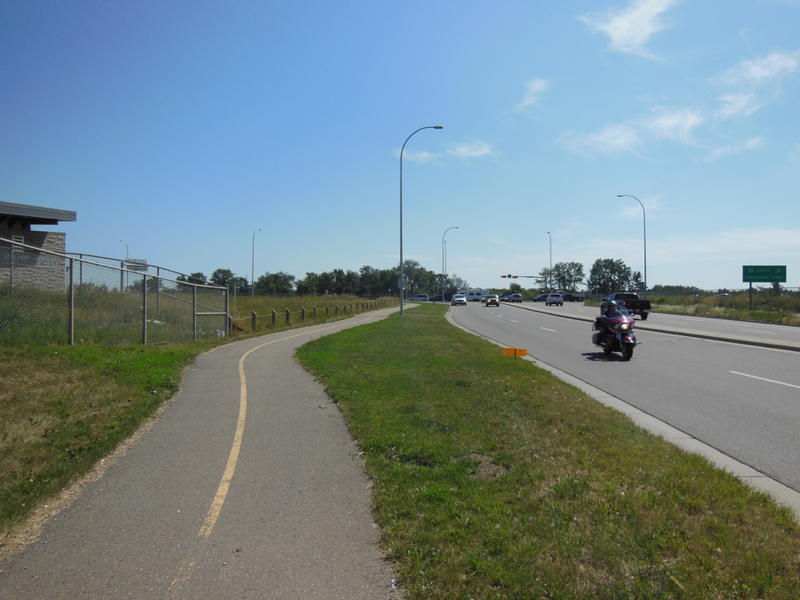 Cyclists are allowed to cycle contra-flow on this eastbound ramp. 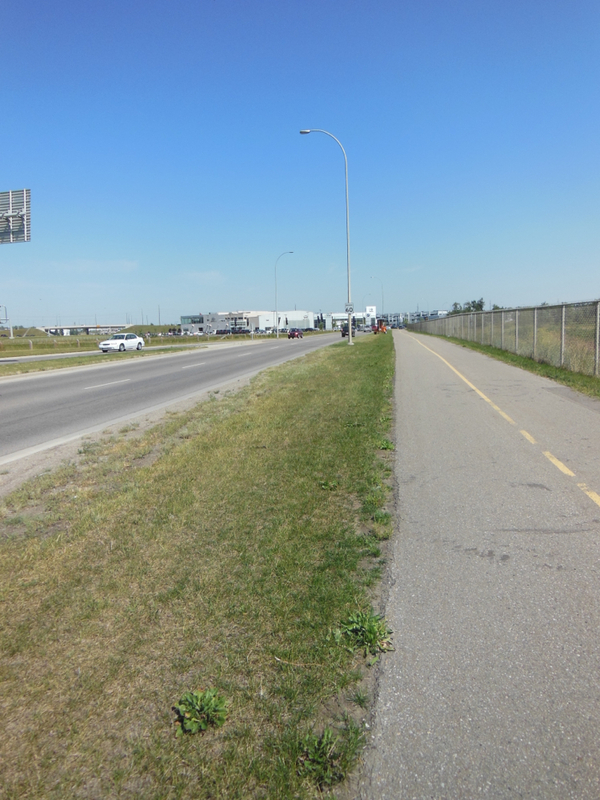 A white line on one side and a yellow line on the other provide cyclists space on this lightly used ramp by cars. 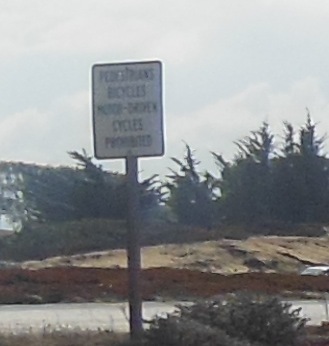 Instructions for cyclists and for motorists on the use of the ramp are lacking. 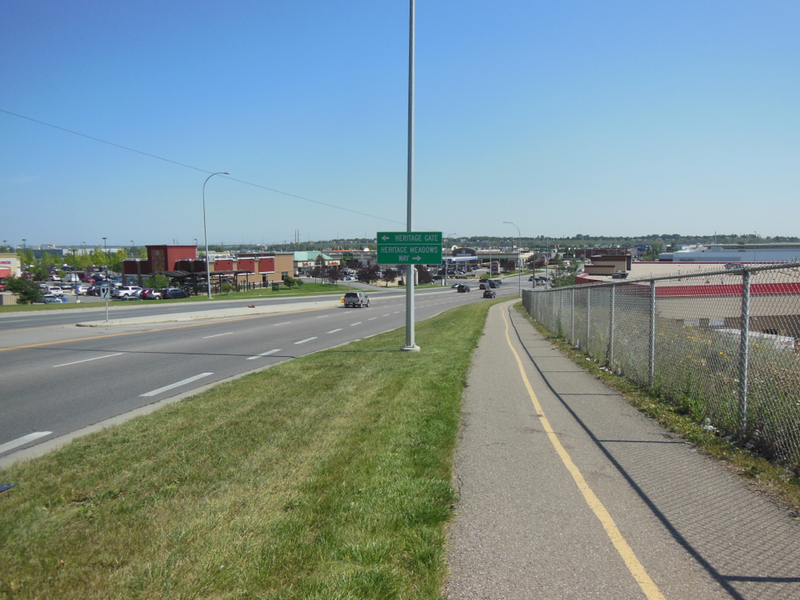 So, northbound cyclists tend to use both sides of the ramp or go right down the middle, as oncoming car traffic visibility is very good. 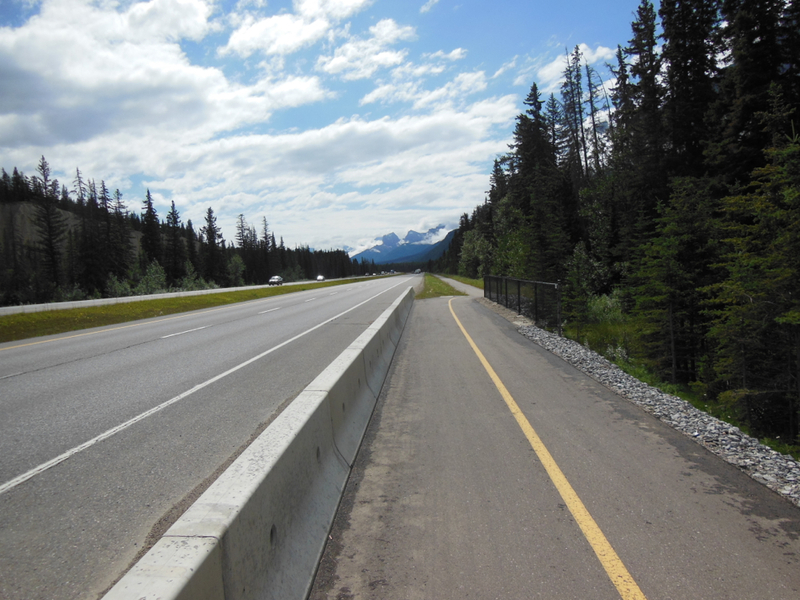 From the ramp, contra-flow cycling for about a 100 metres on the eastbound shoulder of the Trans-Canada Highway connects one to the Trail. 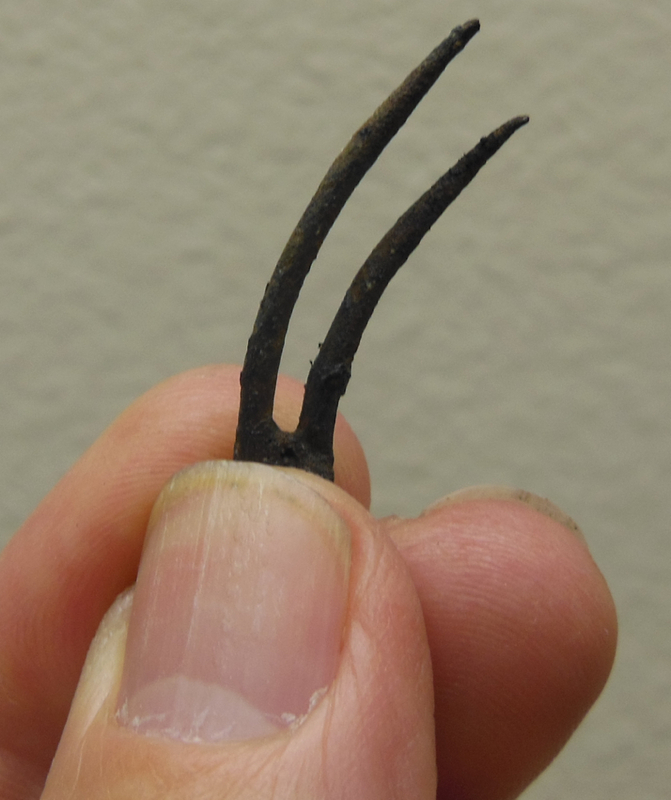 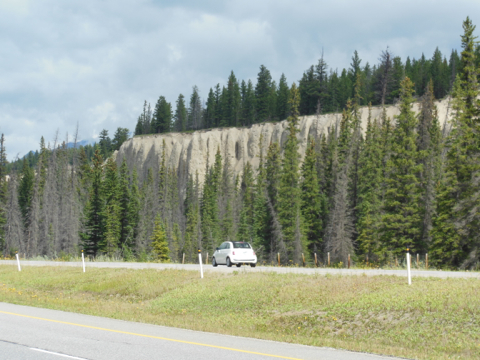 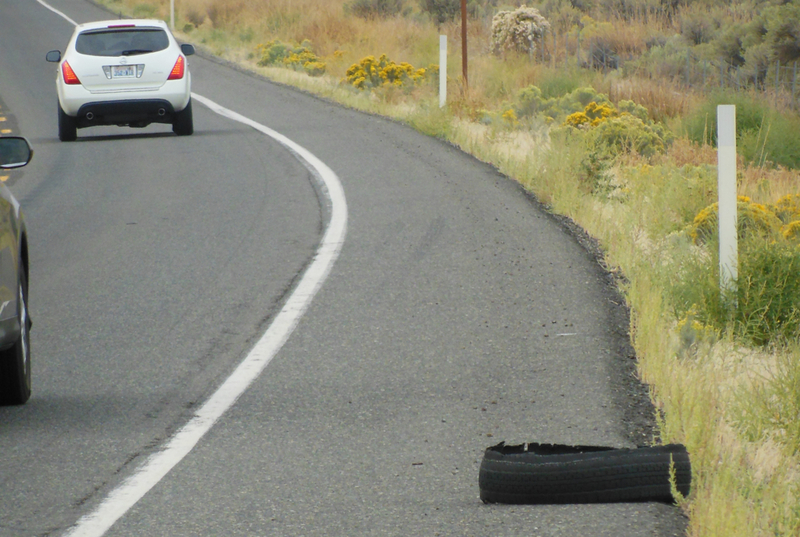 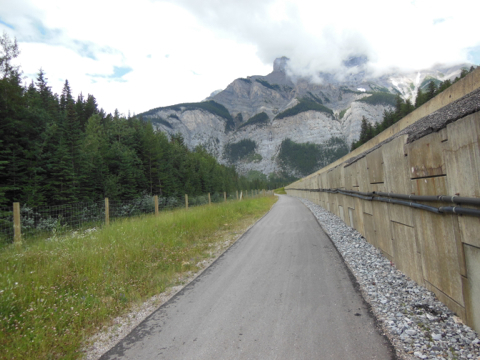 For some reason, a two-metre connection from the highway shoulder to the Trail remains unpaved. 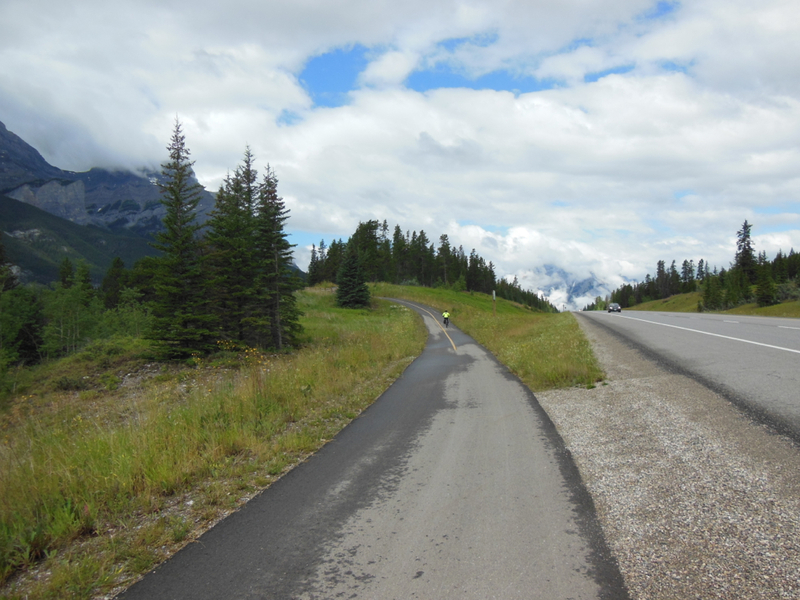 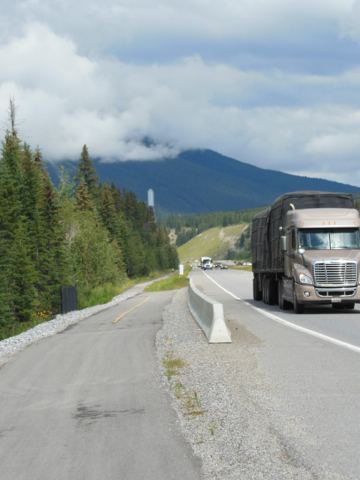 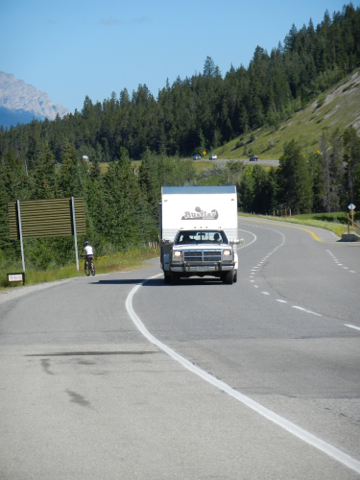 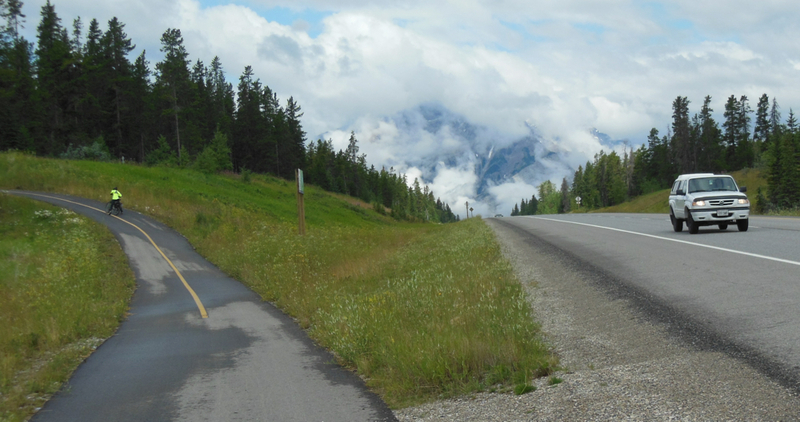 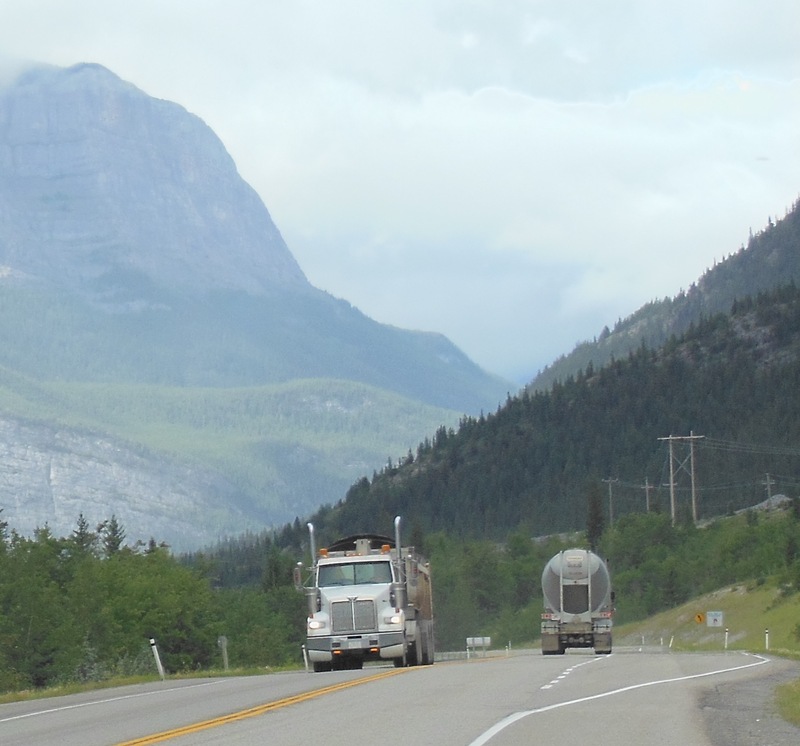 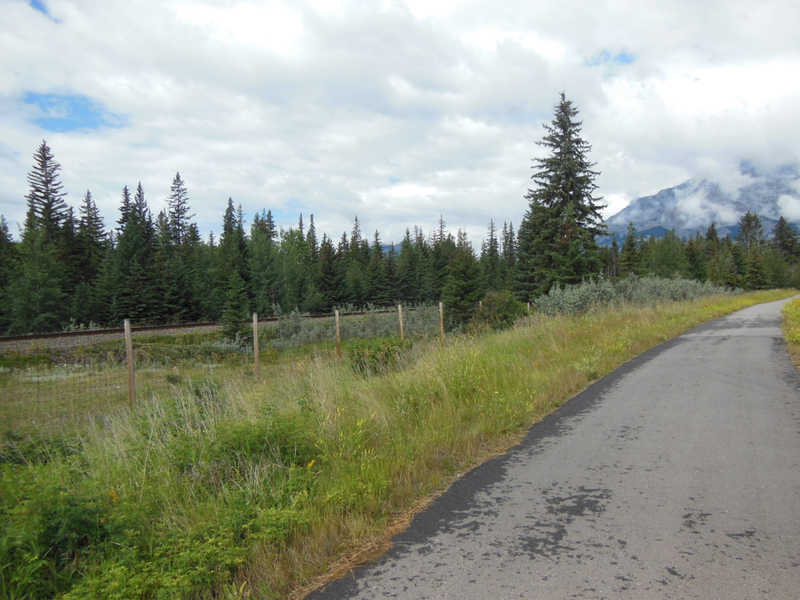 Canmore, AB – The Trans-Canada Highway; Harvey Heights Road; the adjacent bike path. 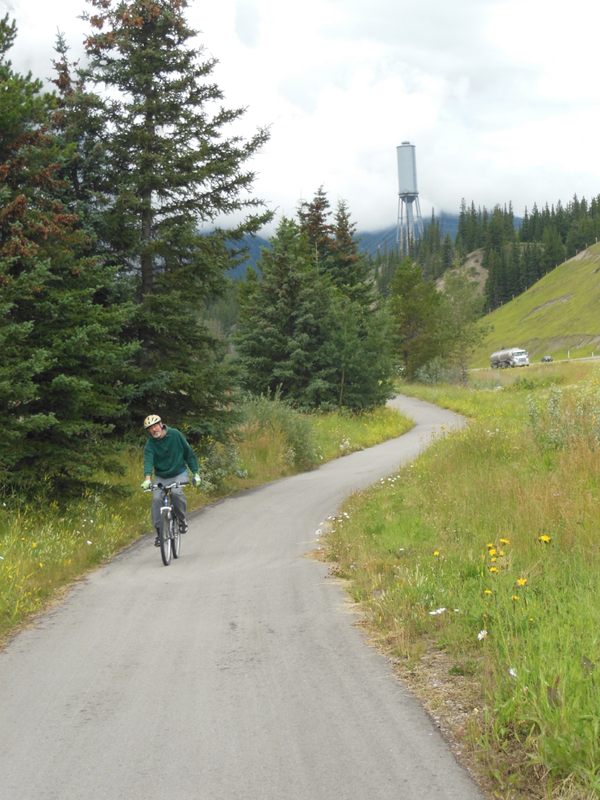 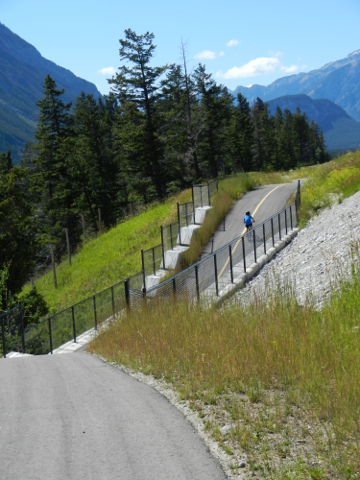 The Town of Canmore recognizes that a more direct connection from the downtown rail-trails path is needed to this Legacy Trail. 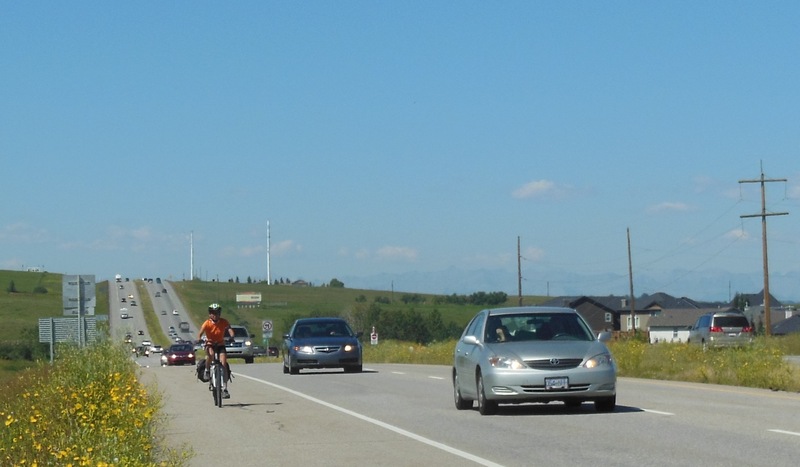 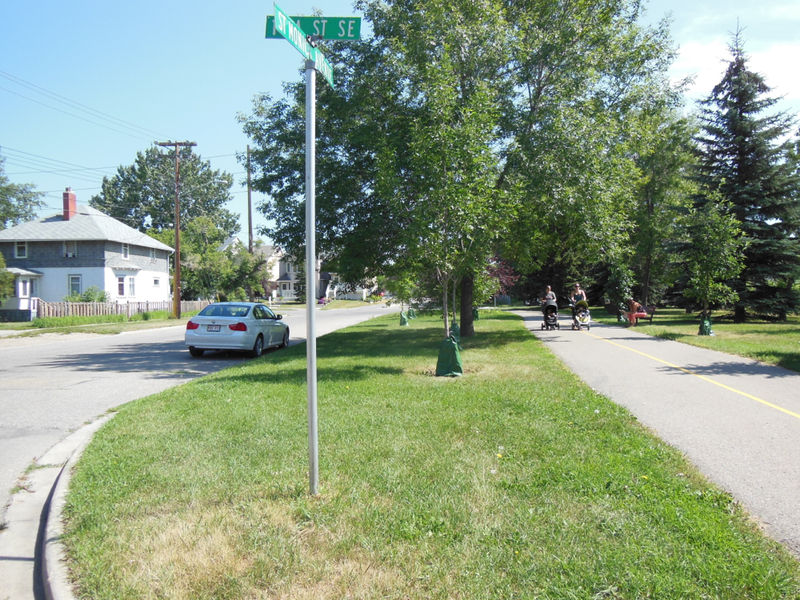 The town already has built a number of bike paths on road right of ways and bike trails along railway lines and rivers to provide more convenient use of cycling for transportation. 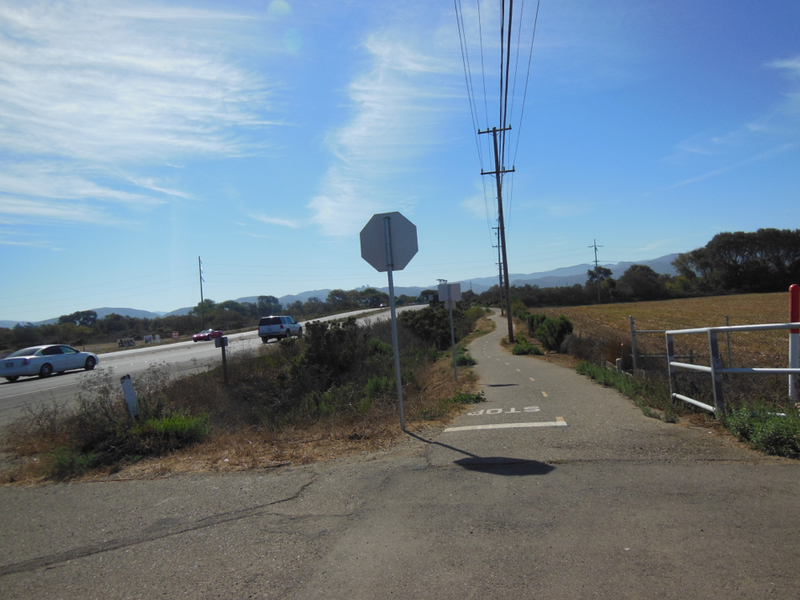 Bike path paralleling Harvey Heights Road. 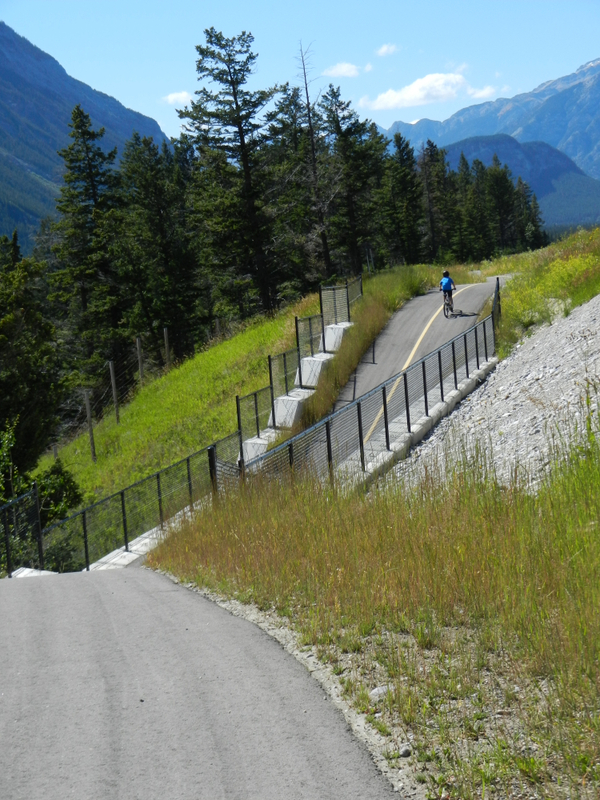 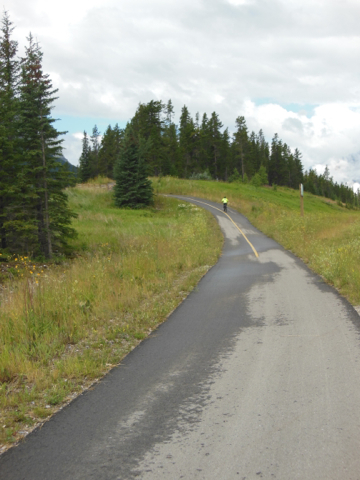 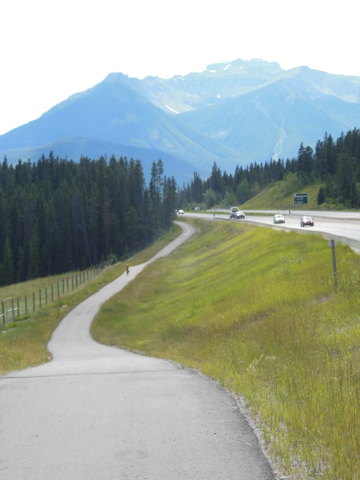 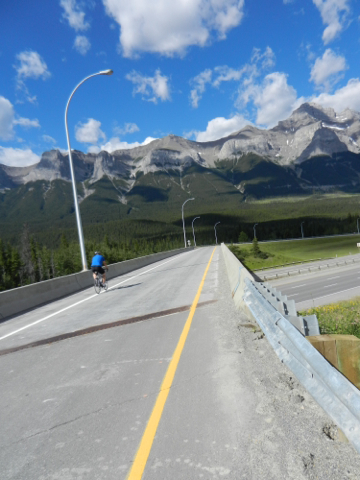 Canmore, AB – Bike path paralleling Harvey Heights Road by the Trans-Canada Highway. 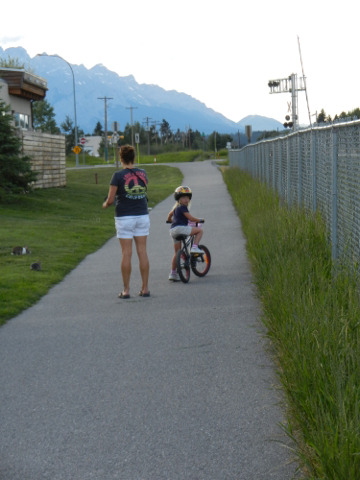 Canmore, AB – Bike Path along the downtown railway tracks. 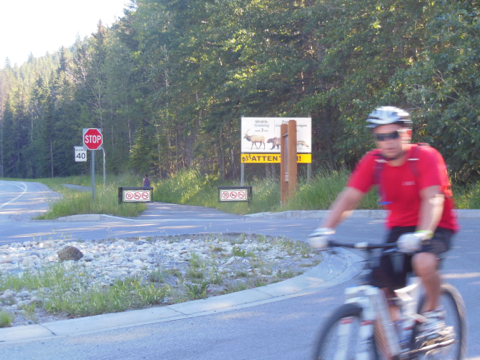 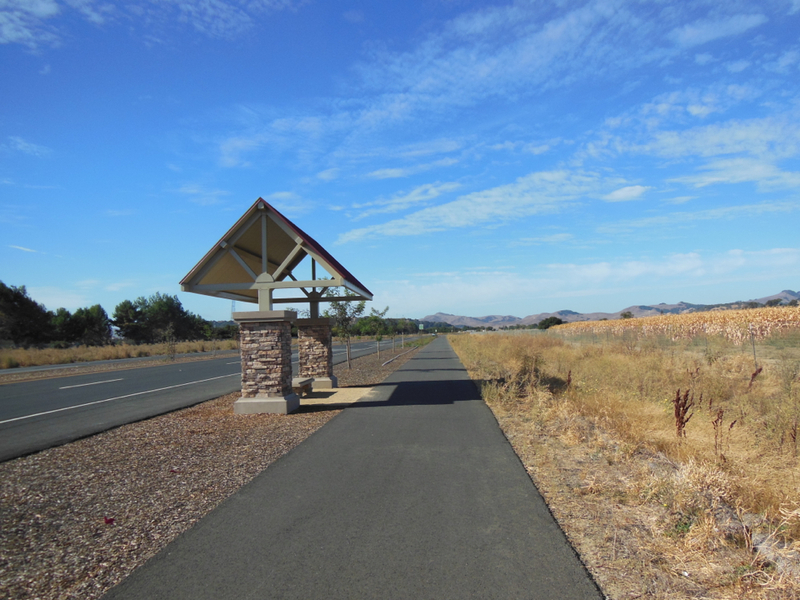 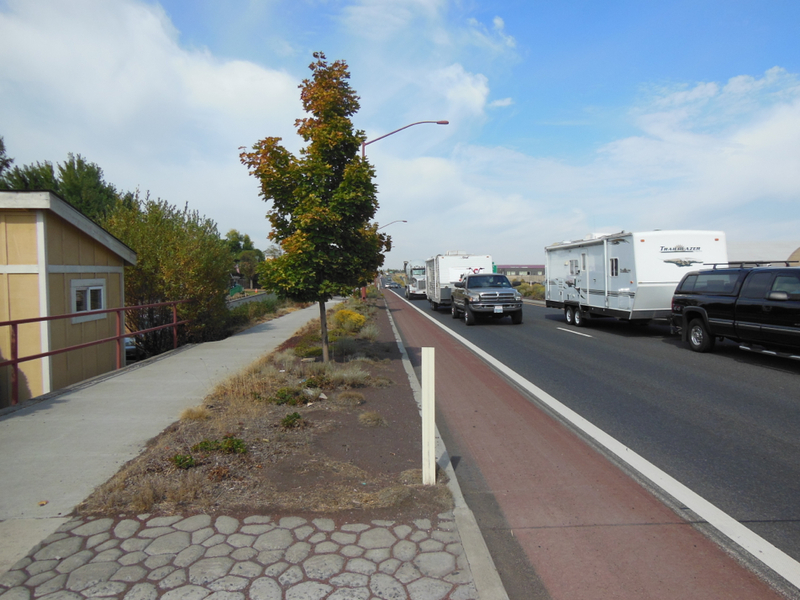 Who uses the Legacy Trail? 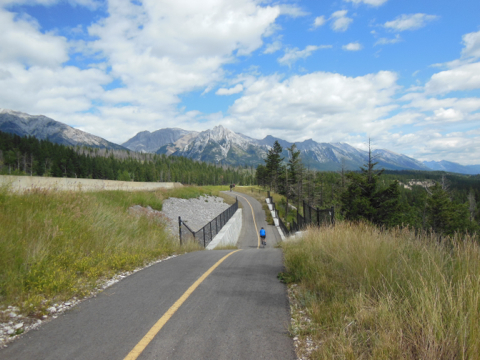 Banff Legacy Trail. 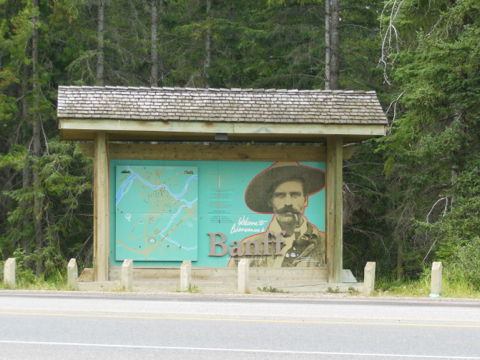 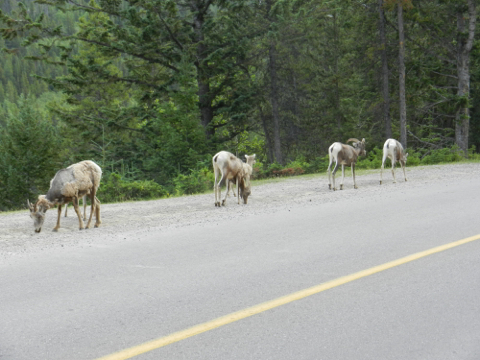 Users of the Banff Trail. 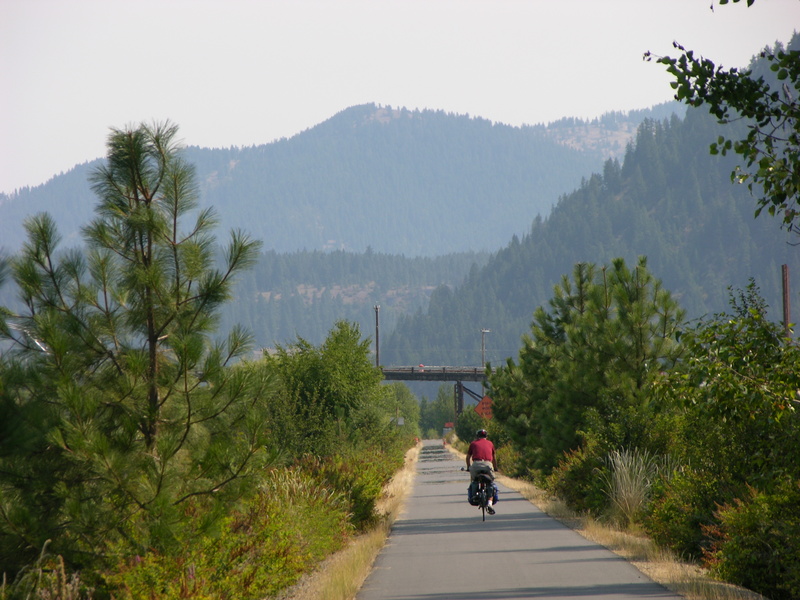 This trail in the wilderness, connecting two towns far from any cities, still has drawing power for people from far away. 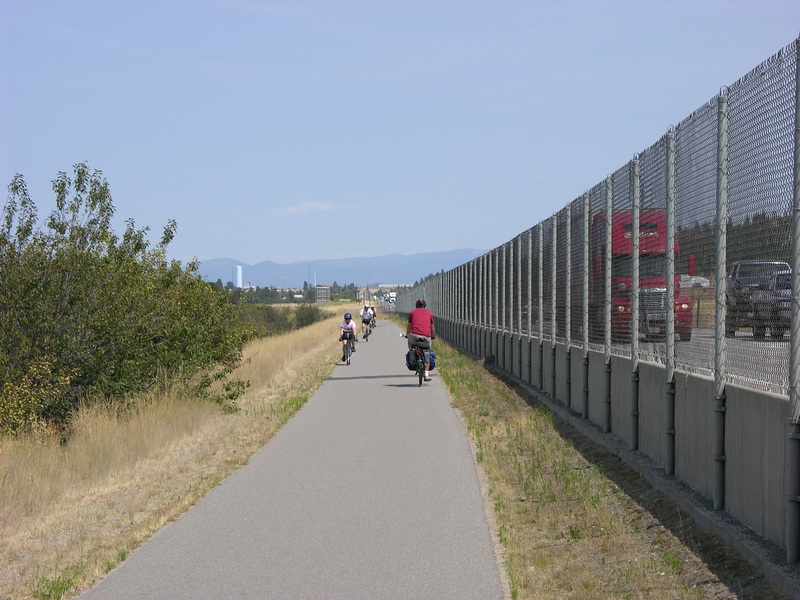 Daily cycling traffic on weekends compares well with any bike path in any city. For this trail, traffic counts reaching 900 cyclists on a day. 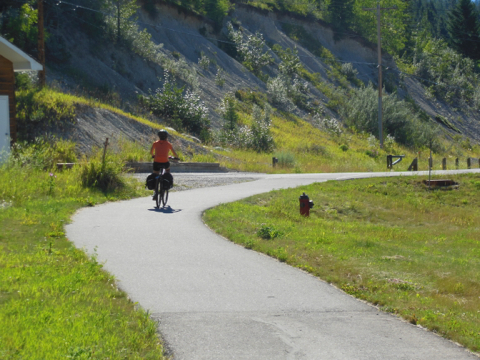 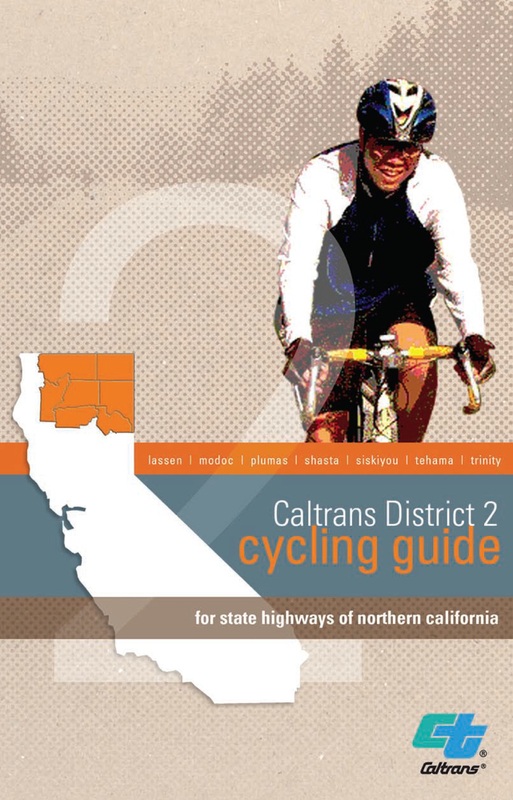 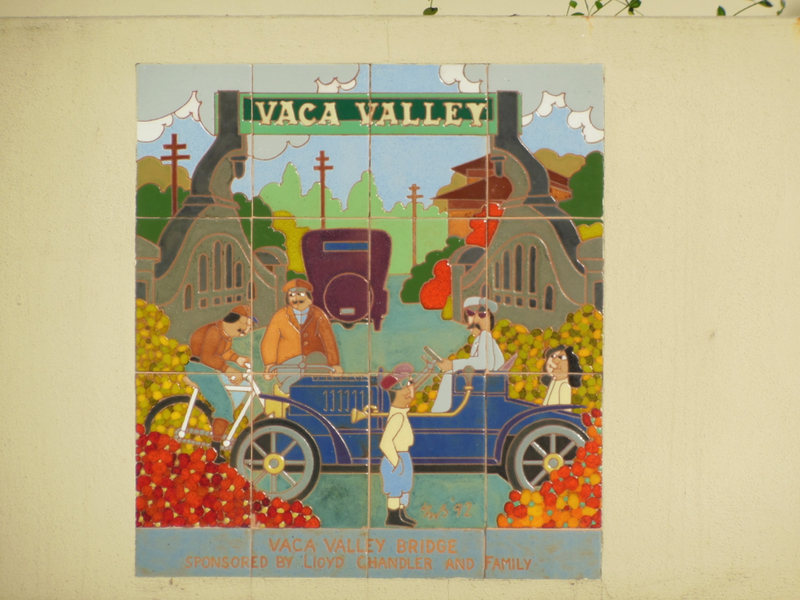 This trail draws the racing and randonneuring crowd that used to use the excellent, wide shoulders on the highway, the touring cyclists, the weekend and day trippers, as well as the commuter cyclists that live in one of the towns and work in the other. 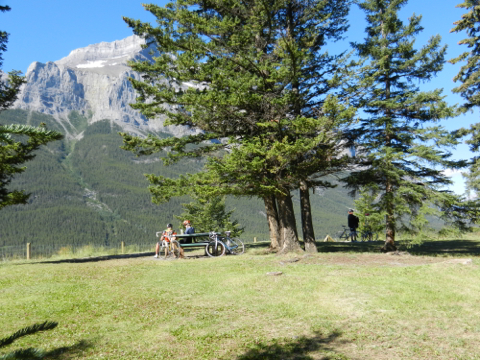 The trail draws families with children in tow in a trailer or with 10 year olds pedalling their own bicycles. 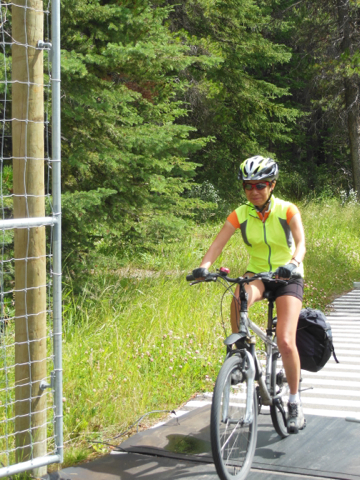 The trail satisfies the need of the serious cyclists and those out for a simple cycle to enjoy the wilderness scene, the birds singing, birds souring above, with a hope that a wild animal may be spotted. 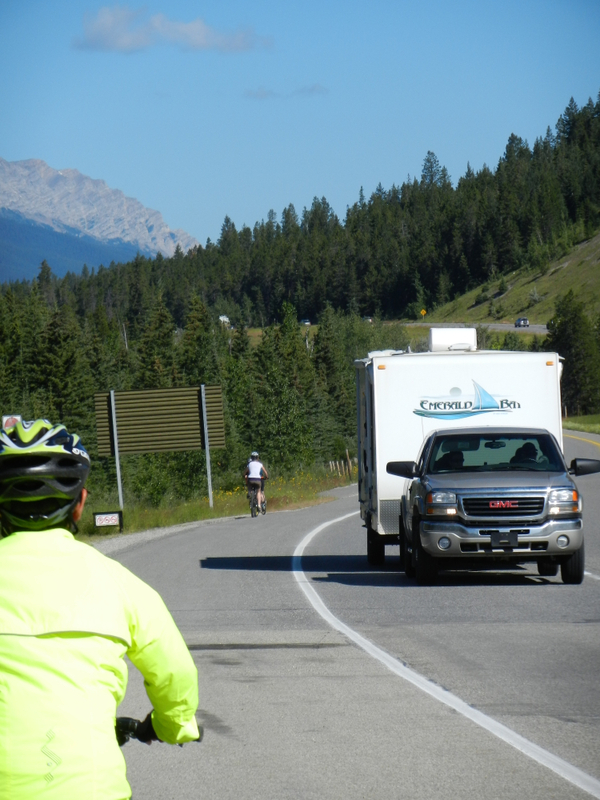 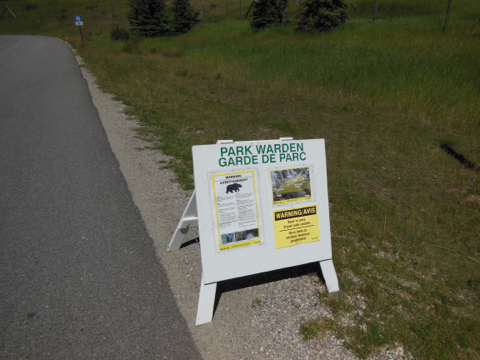 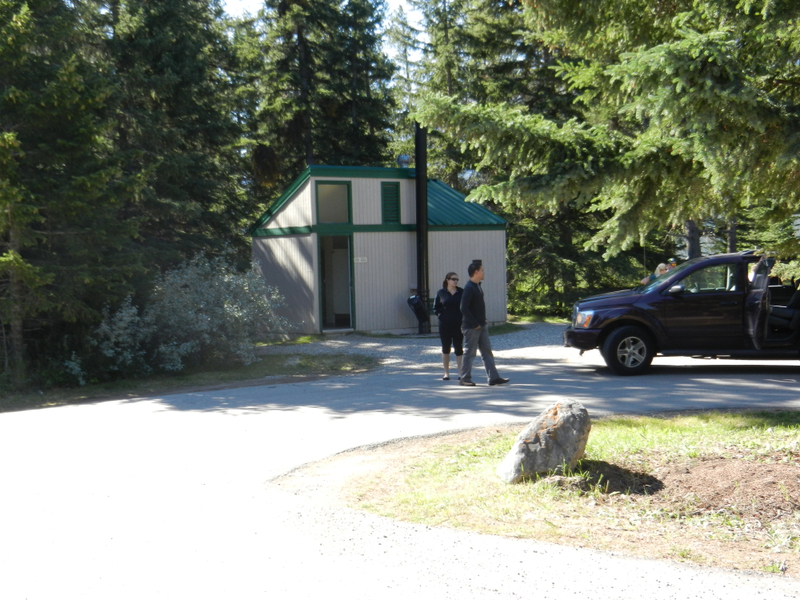 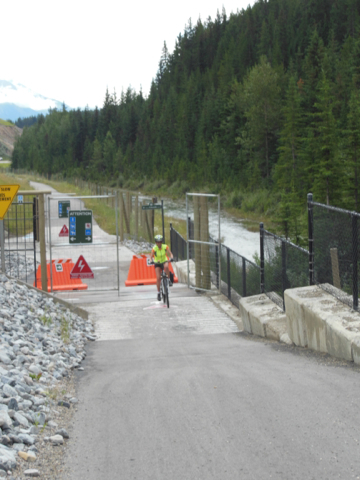 For those driving up from Calgary or other towns for the day to use the trail, some park their vehicles on parking lots along the Harvey Heights Road bike path, while others park in front of the Banff Park East Gate. 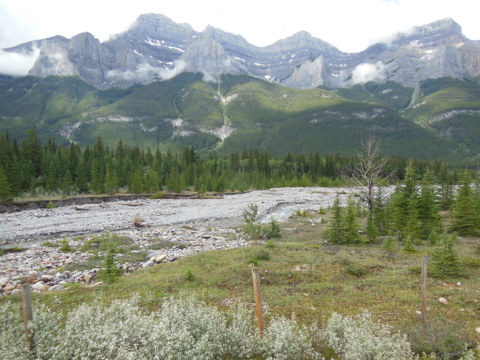 Town of Canmore, AB. 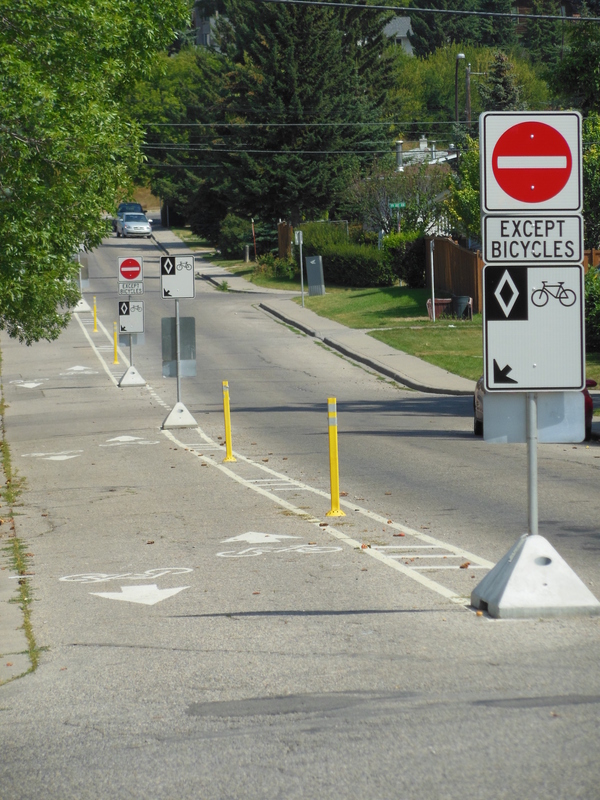 Harvey Heights Road bike path parking areas. 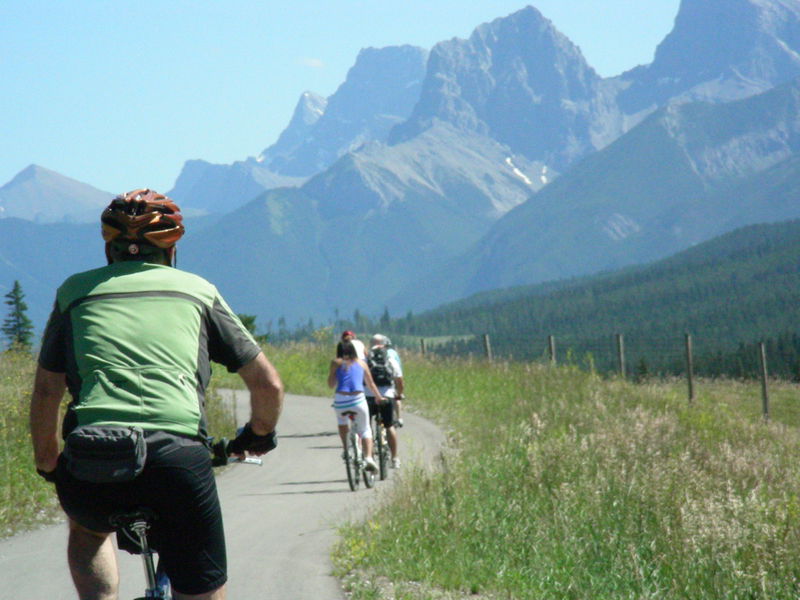 Canmore is a mountain bike and Nordic skiing town nestled between two Rocky Mountain ranges with a network of hiking trail. 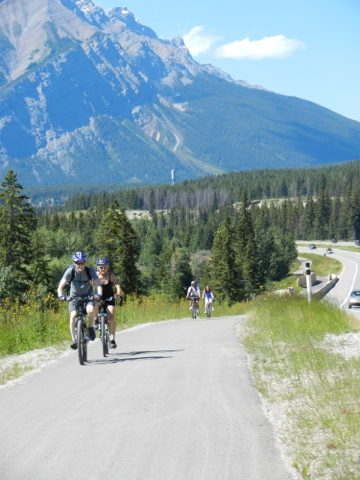 Banff, as we know, is a jewel in this national park with multiple of trails for all users and a skiing centre. 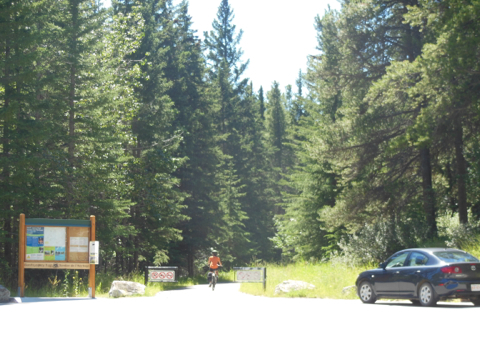 There is another trail connecting the two towns for mountain bikers and hiker along the Spray River. 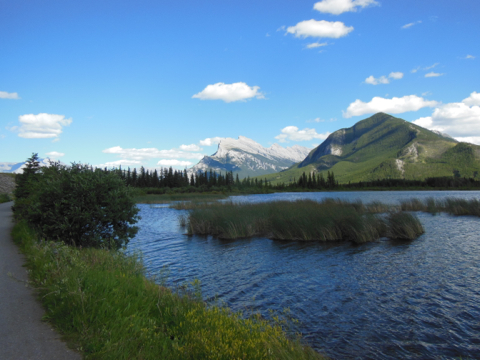 Town of Canmore. 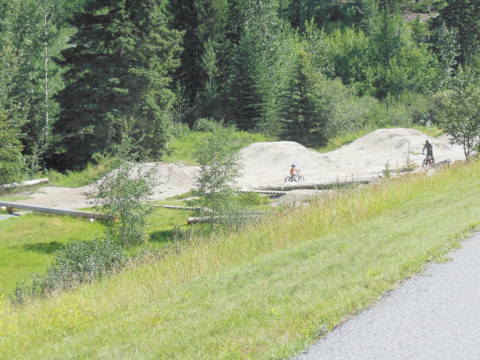 A training ground for potential mountain bikers, the young, the not so young. 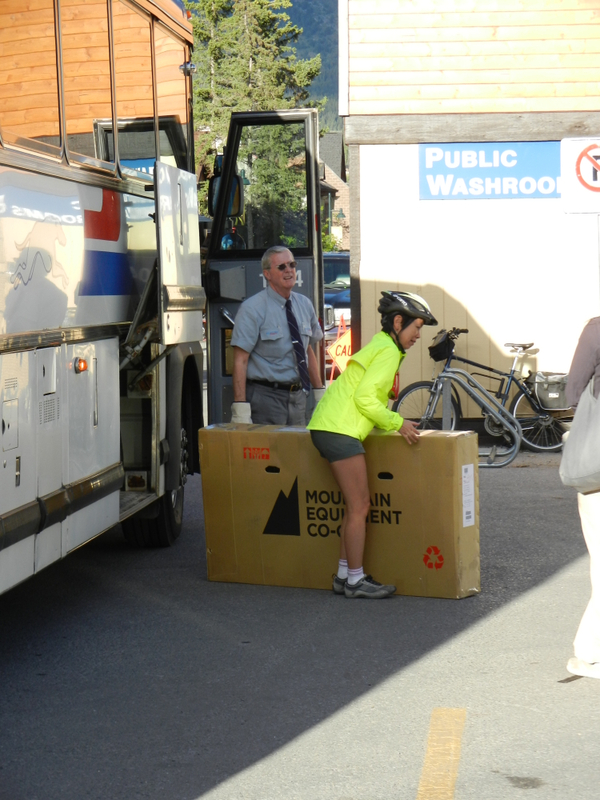 Needless to say, bicycle rental stores in each town are busy supplying bicycles to tourists.